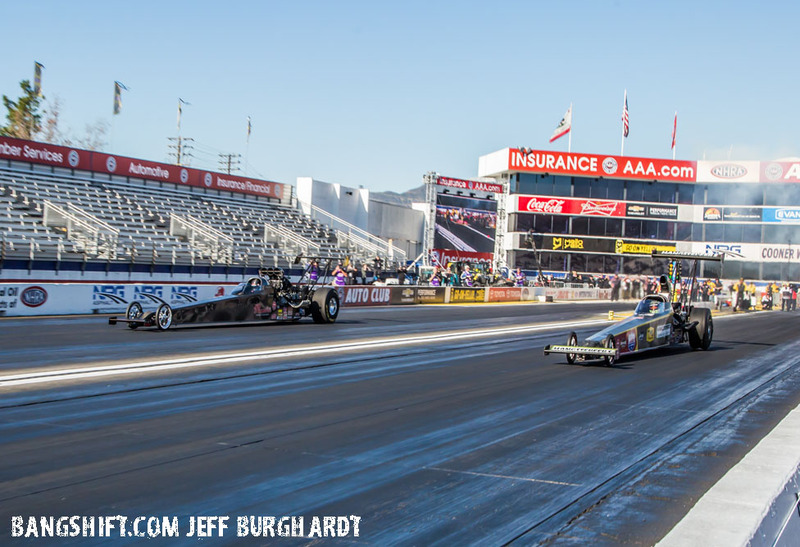 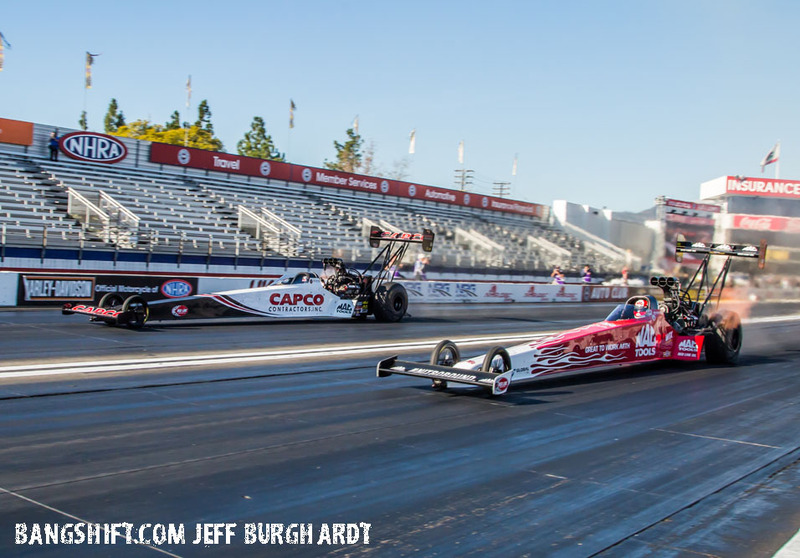 (Photos by Mike & Jeff Burghardt and Sandra Alberti) – It was a long weekend and a Monday to complete the season-opening 59th annual Lucas Oil NHRA Winternationals presented by ProtectTheHarvest.com at Auto Club Raceway at Pomona. 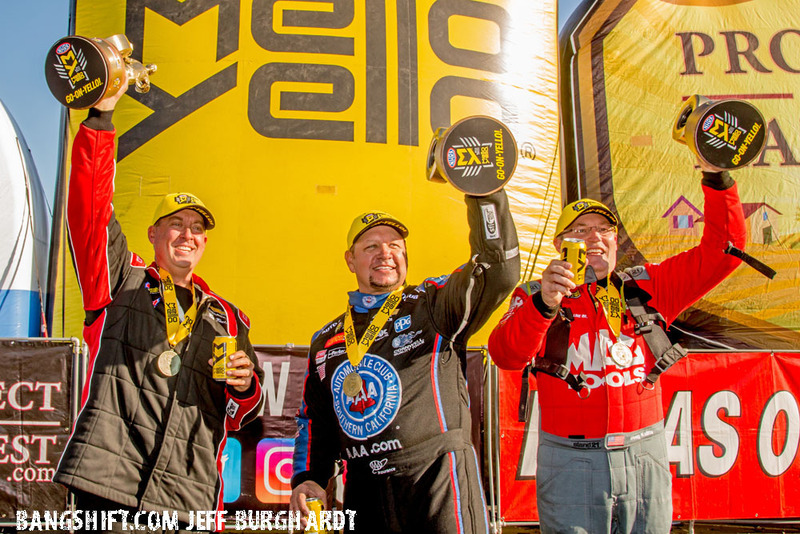 Top Fuel racer Doug Kalitta, Robert Hight in Funny Car and Bo Butner in Pro Stock were victorious in the Pro categories on a rain-delayed Monday finish. 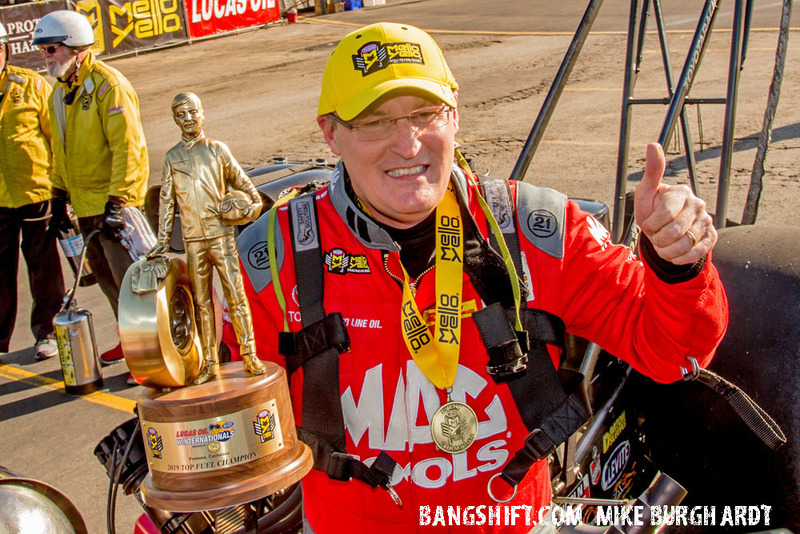 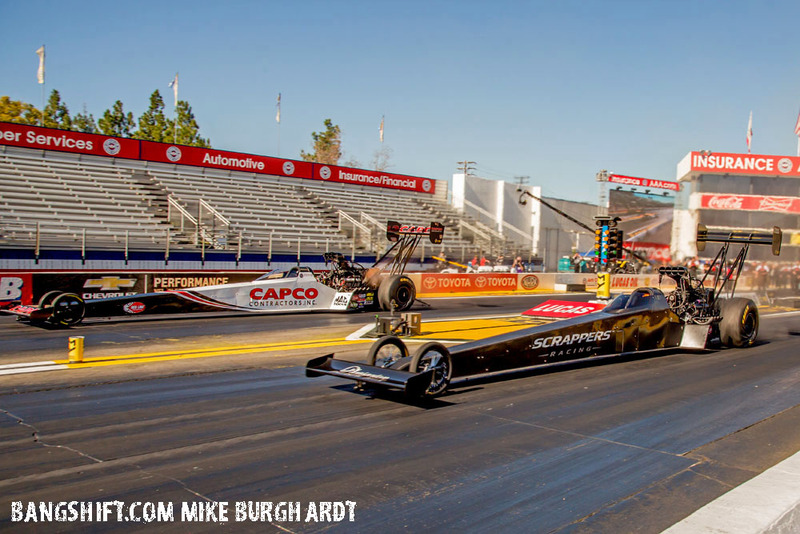 Kalitta took the Top Fuel victory with a 4.014-second pass at 269.29 mph in his Mac Tools dragster defeating 2018 NHRA world champion Steve Torrence in the final round. 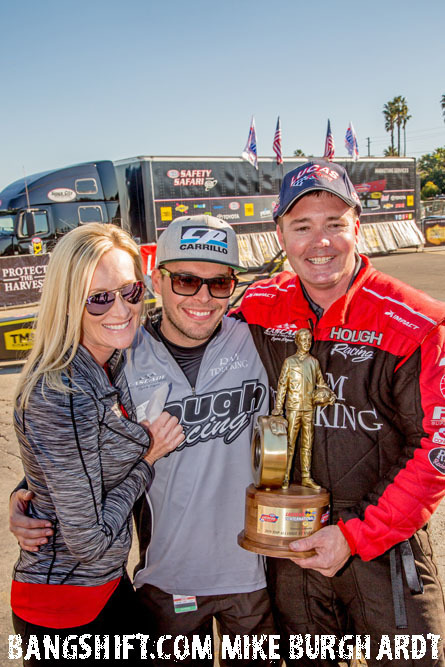 Kalitta’s Winternationals trophy doubles-up on his 2018 Winternationals win, bringing his total wins total to 45. 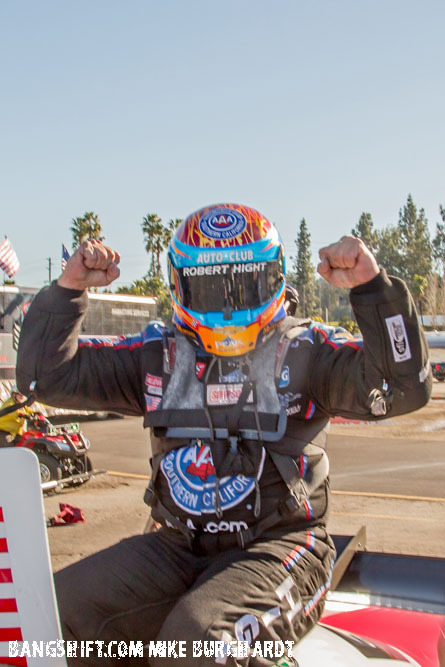 Torrence was the No. 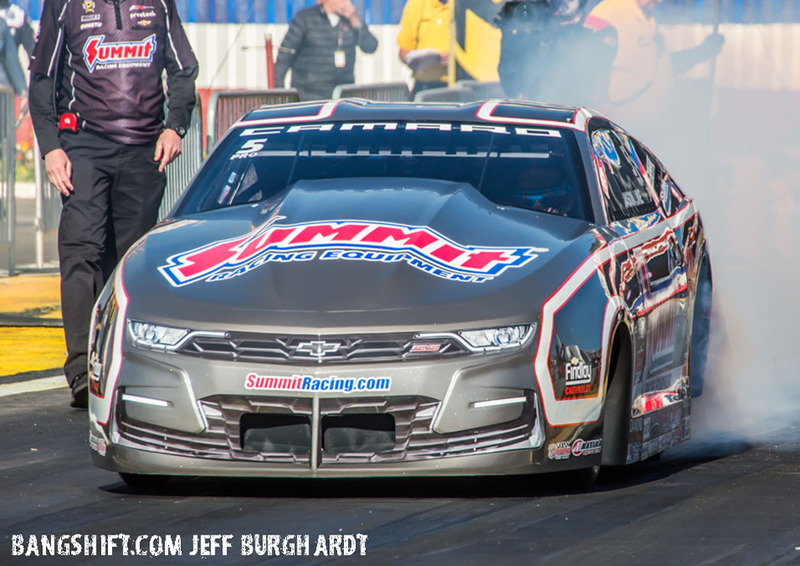 1 qualifier (3.657 ET at 331.61 MPH) for the event and defeated Steve Faria and Mike Salinas as he recorded his seventh consecutive final round appearance and 15th of his career. 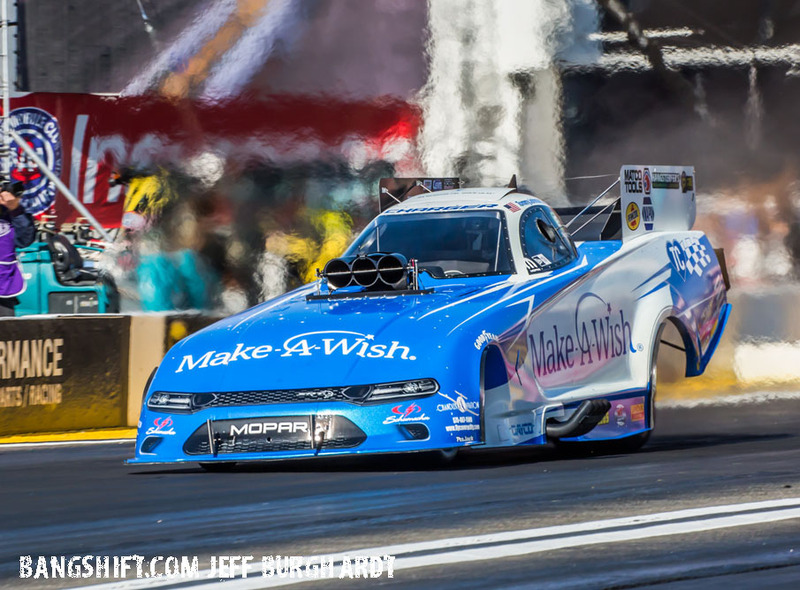 Hight powered to the win with a run of 3.881 at 329.75 in his Auto Club of Southern California Camaro to take down Jack Beckman’s Dodge. 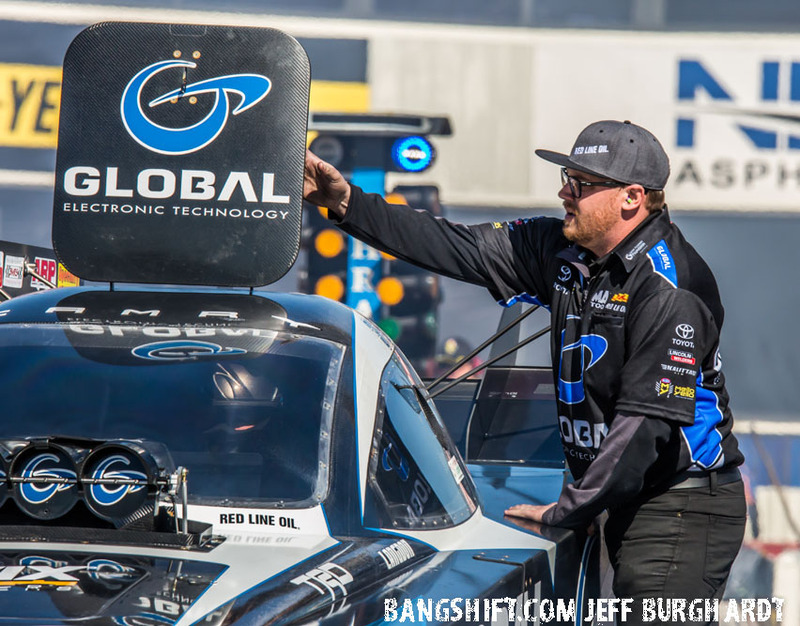 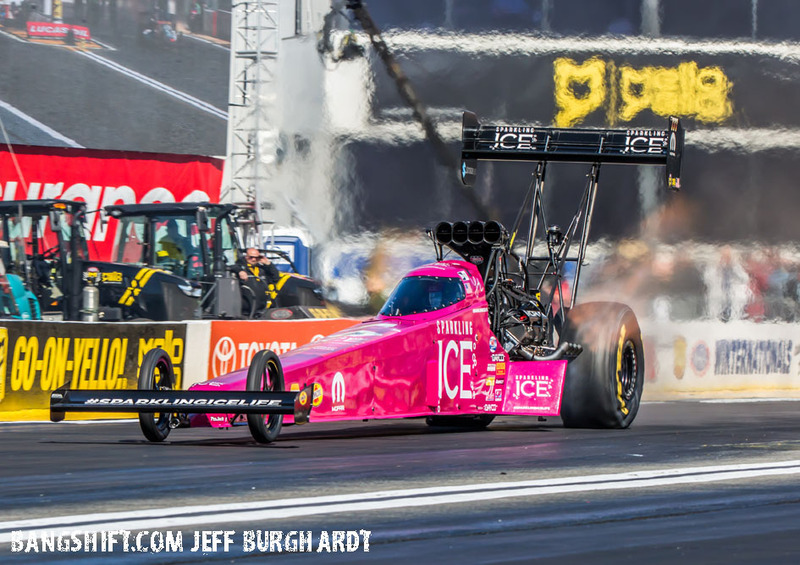 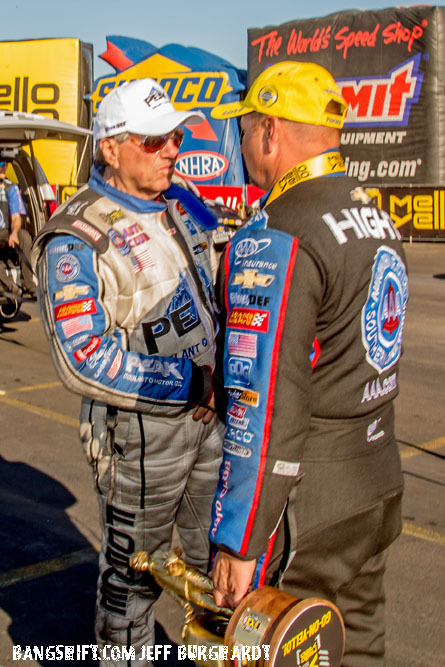 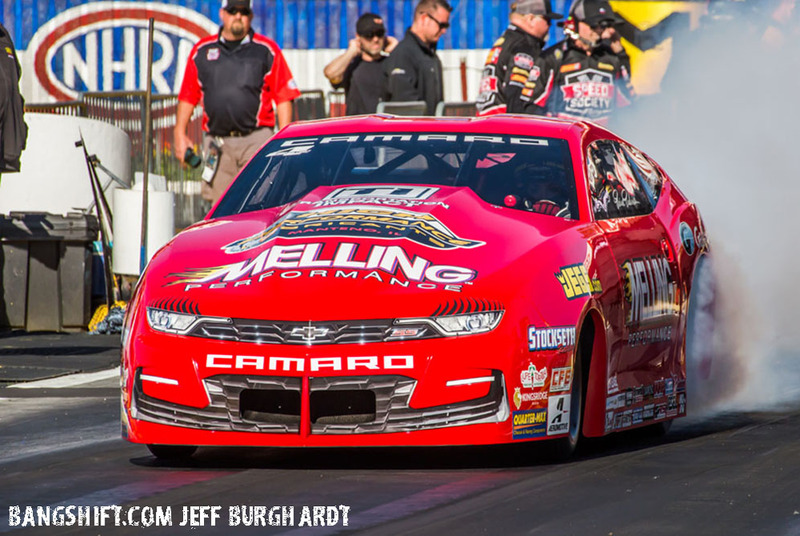 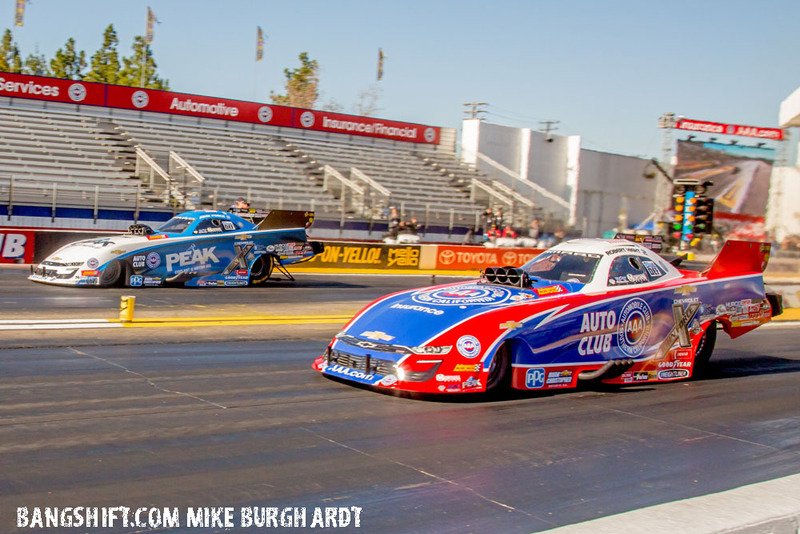 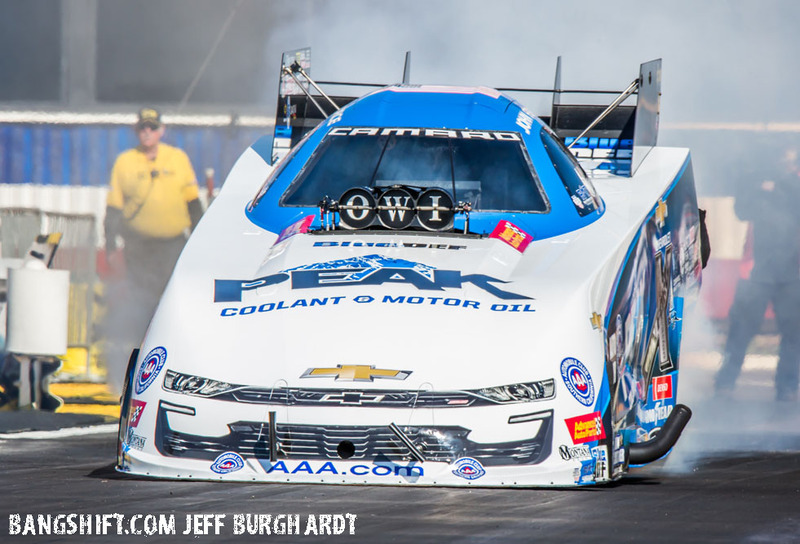 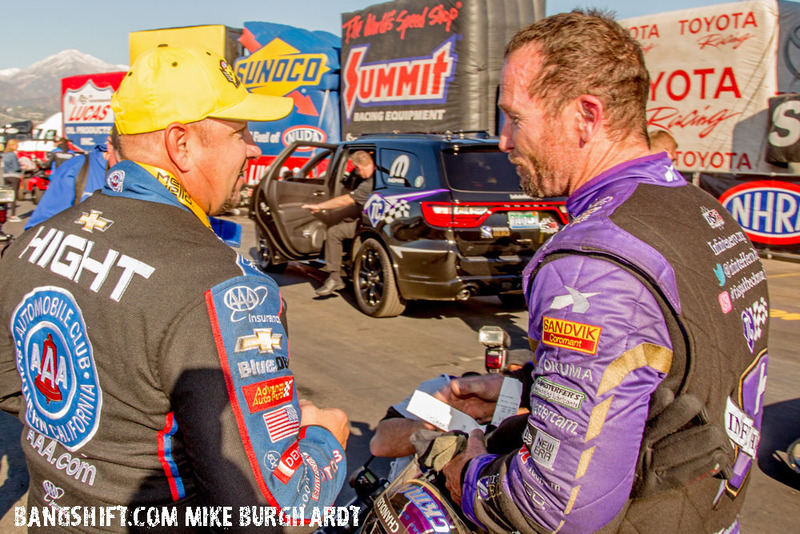 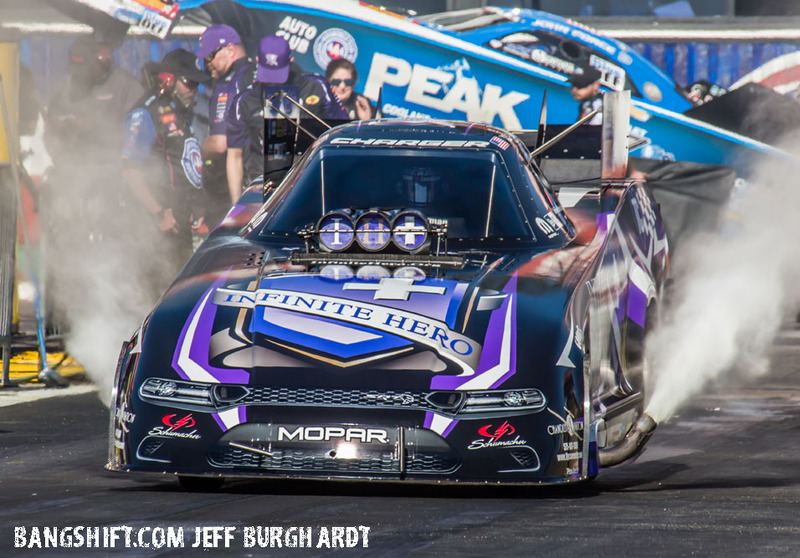 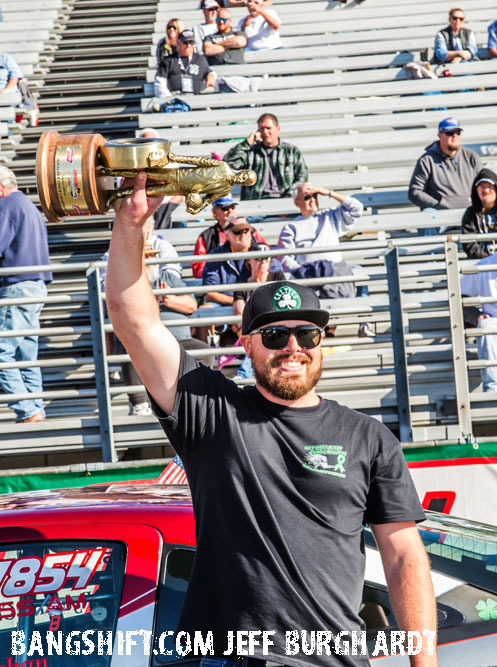 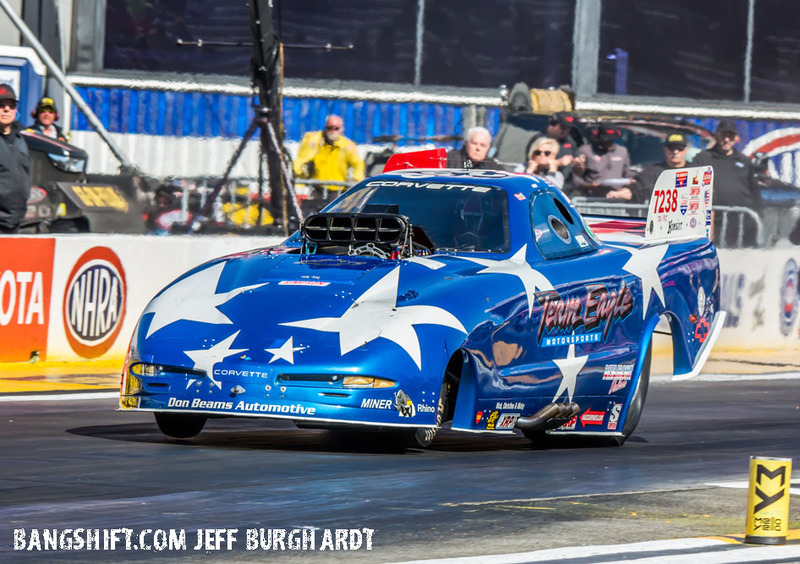 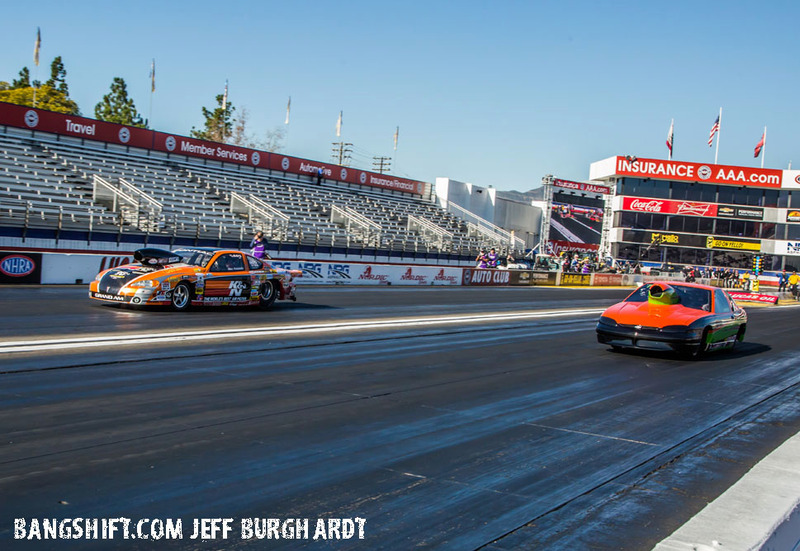 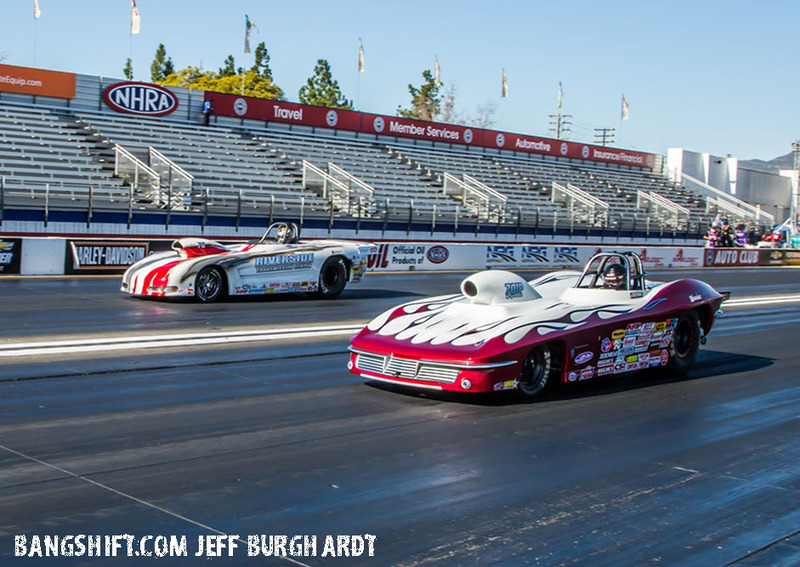 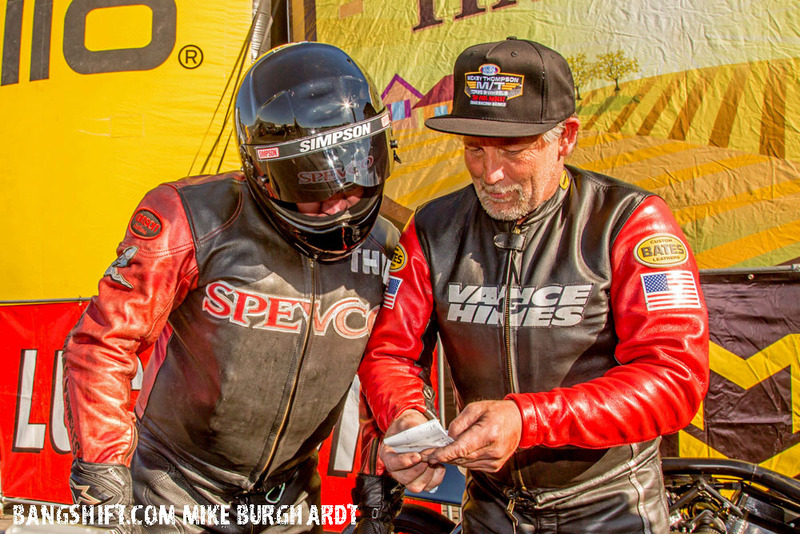 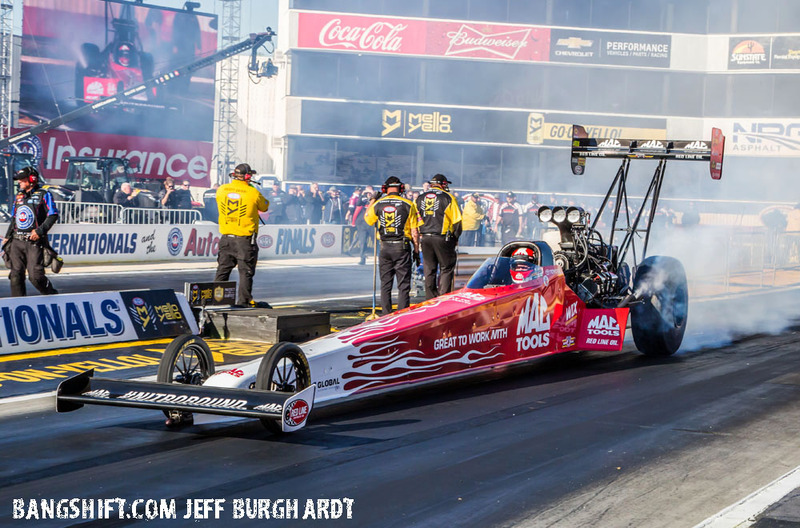 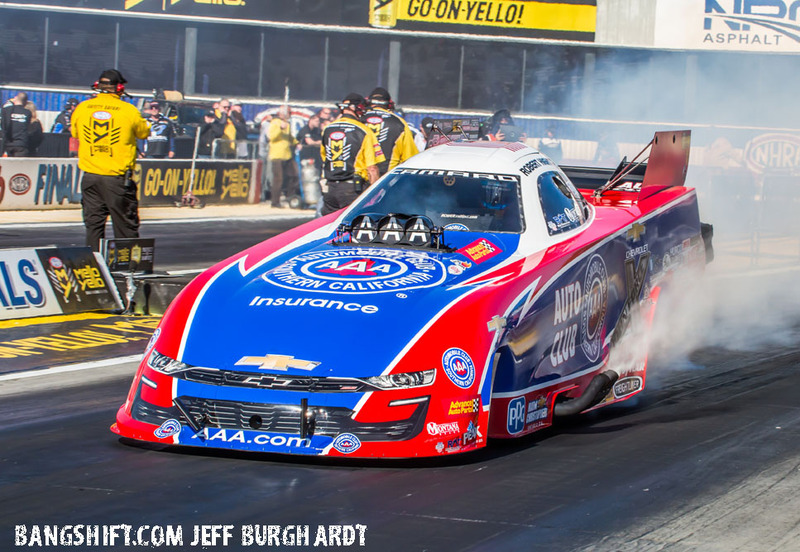 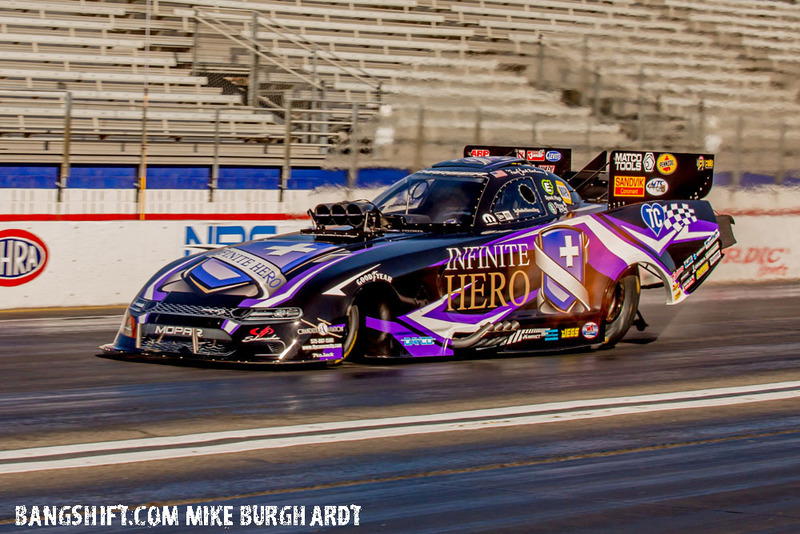 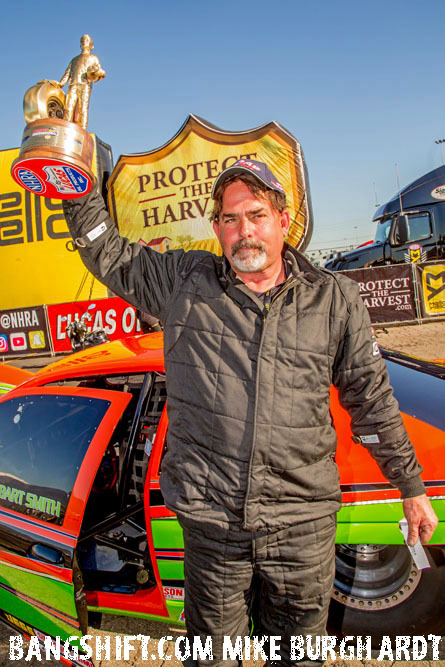 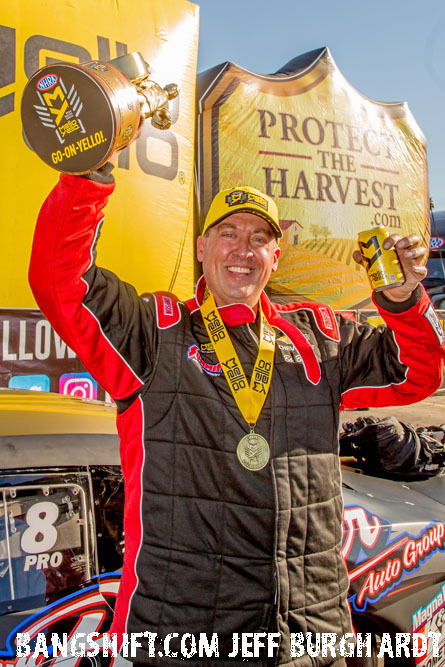 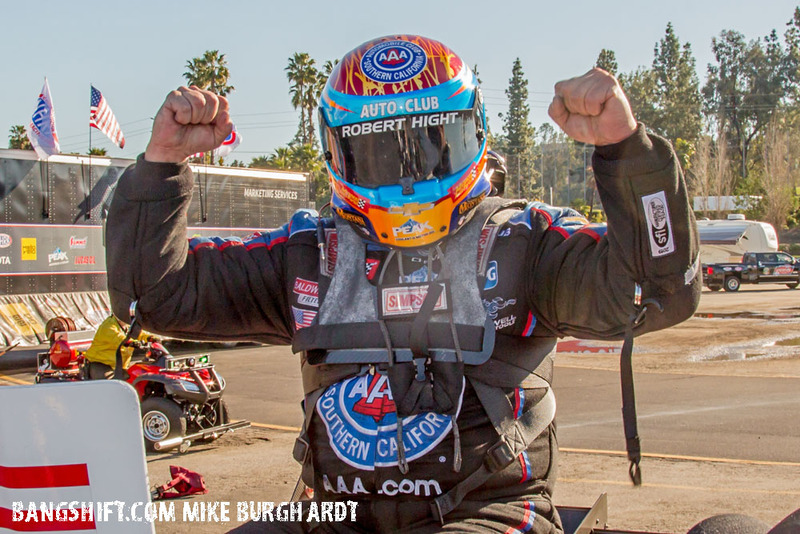 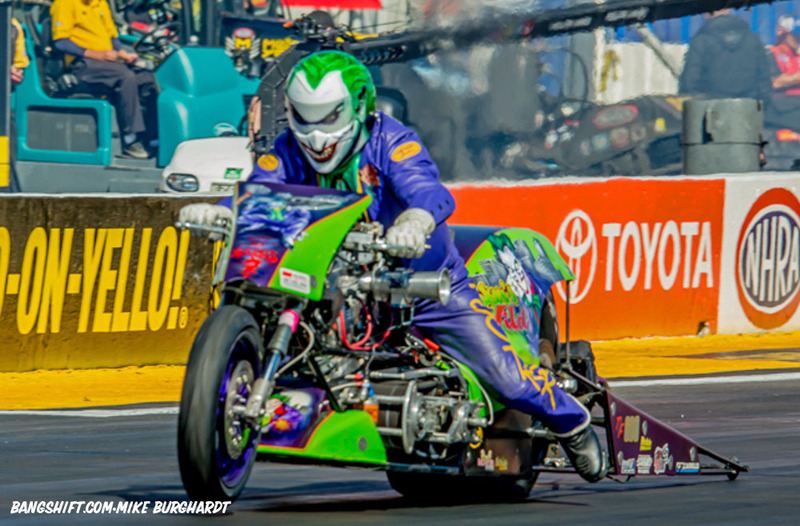 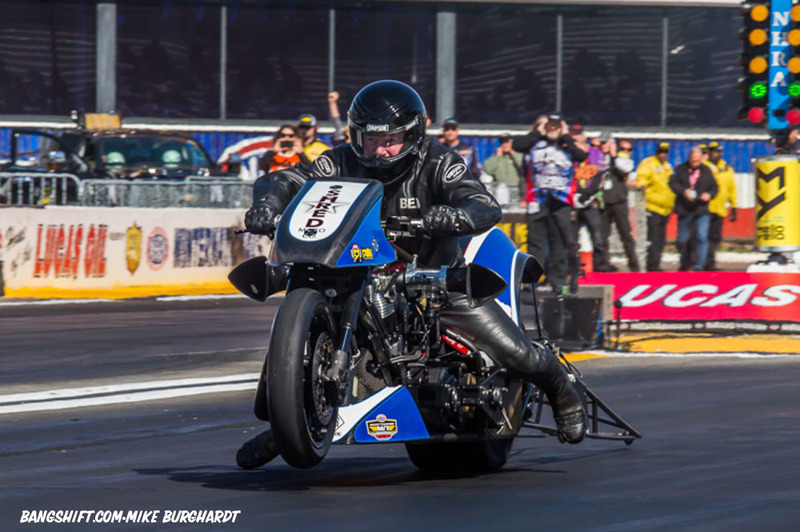 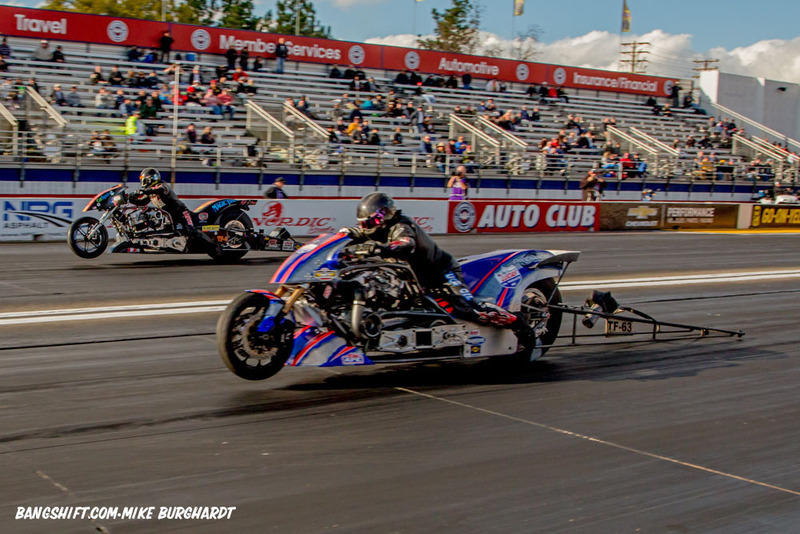 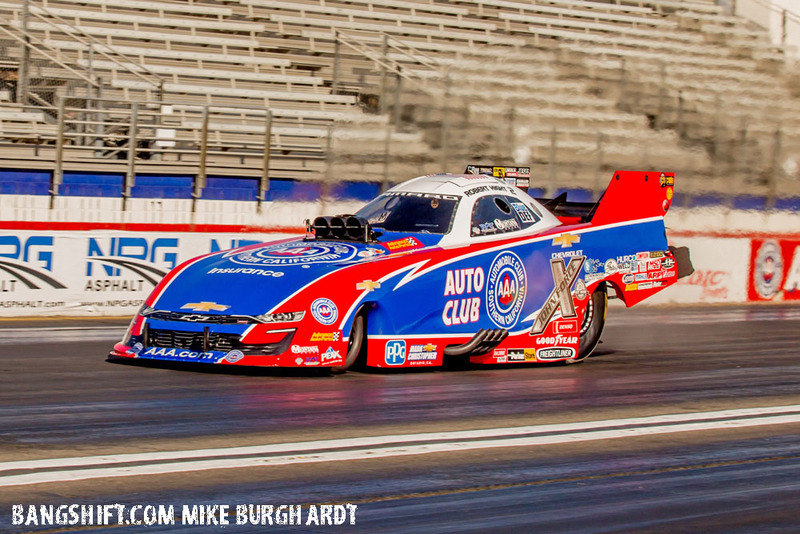 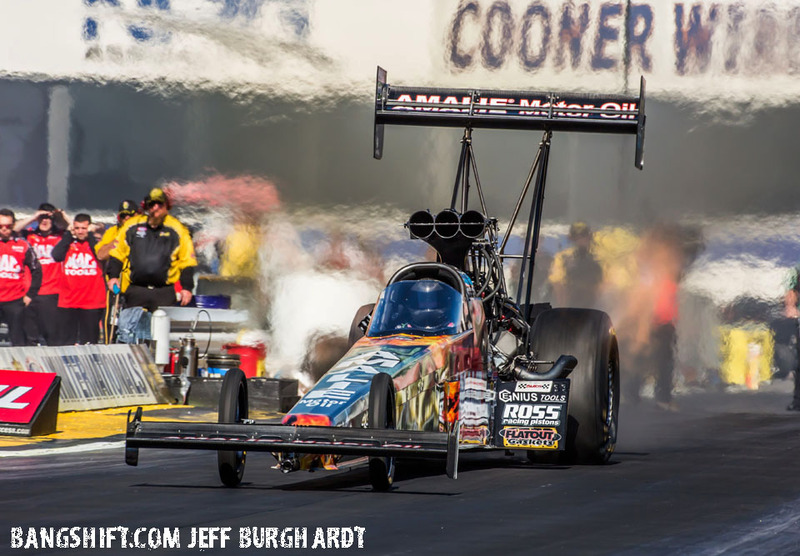 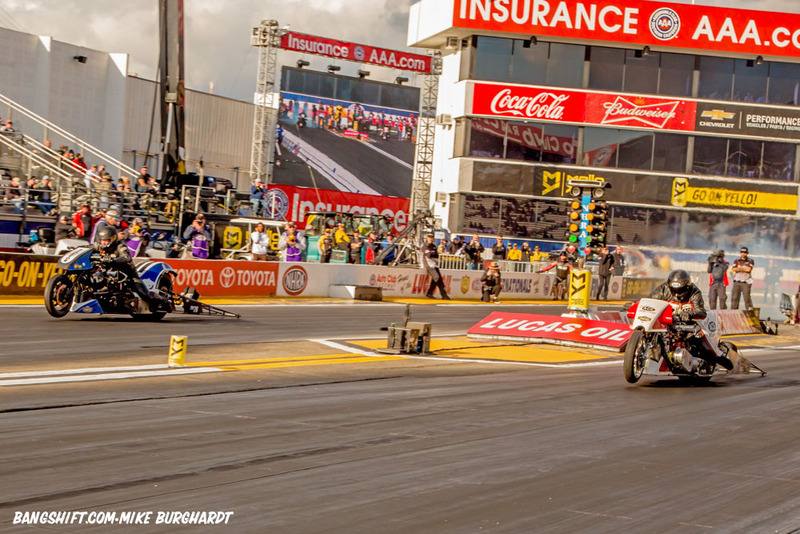 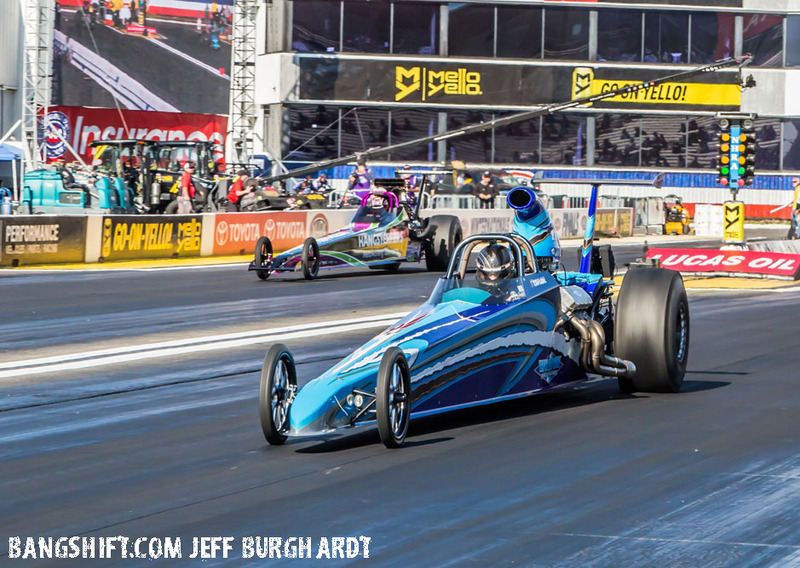 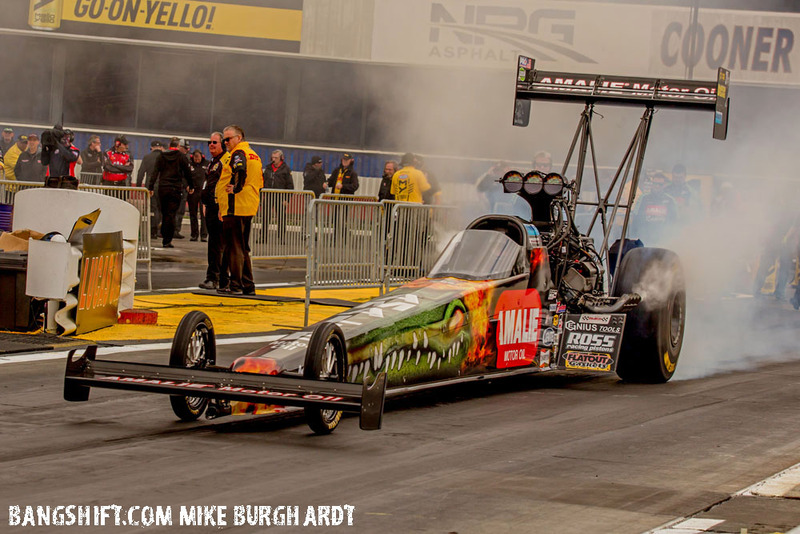 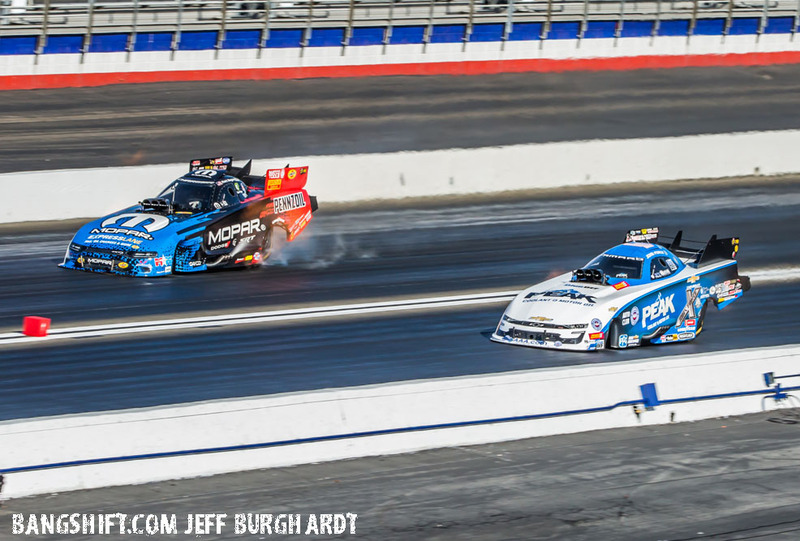 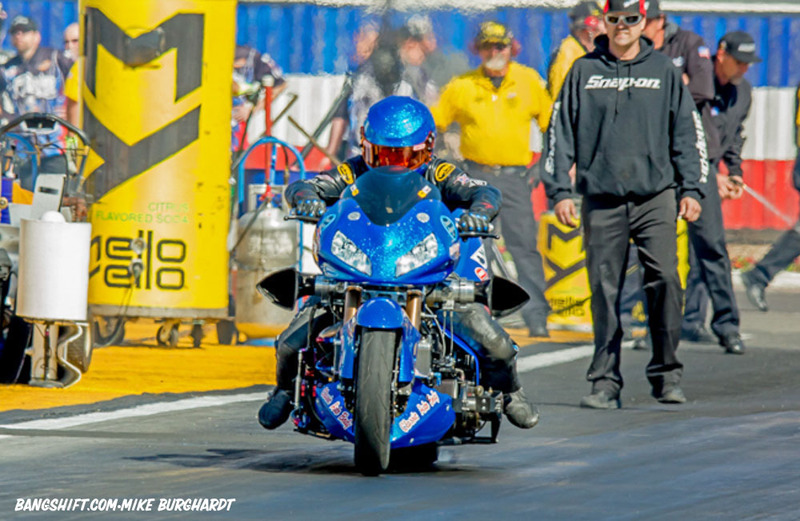 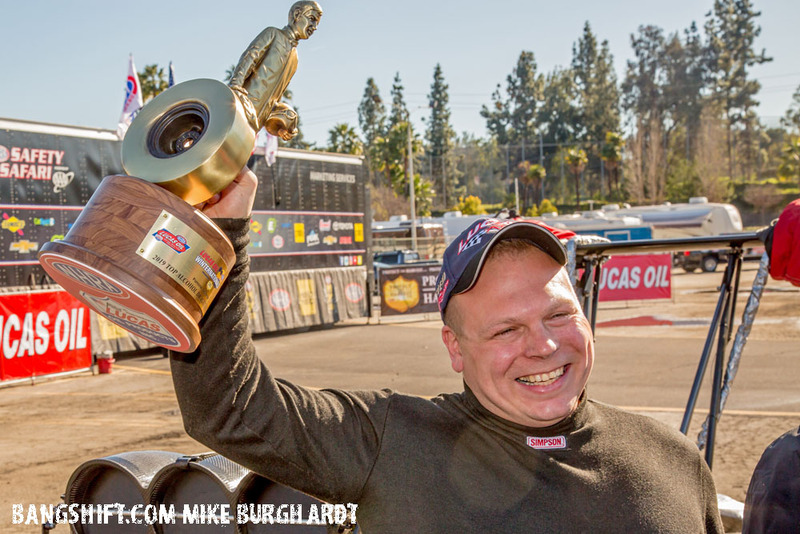 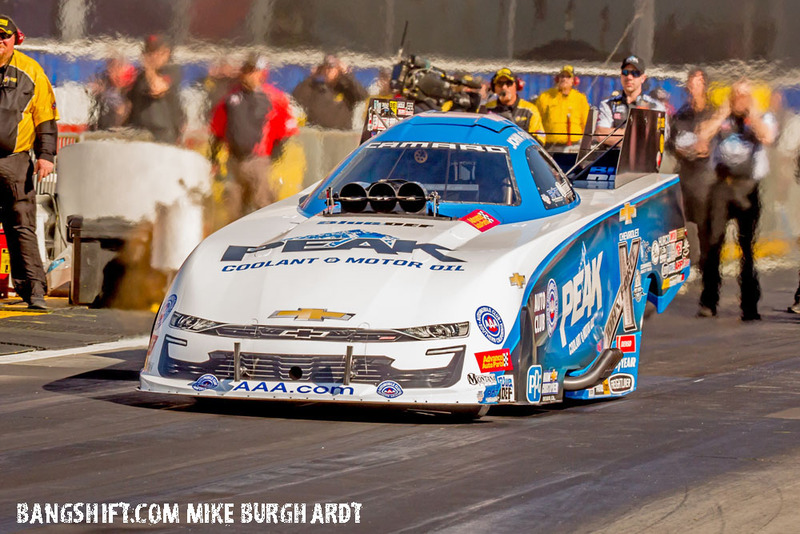 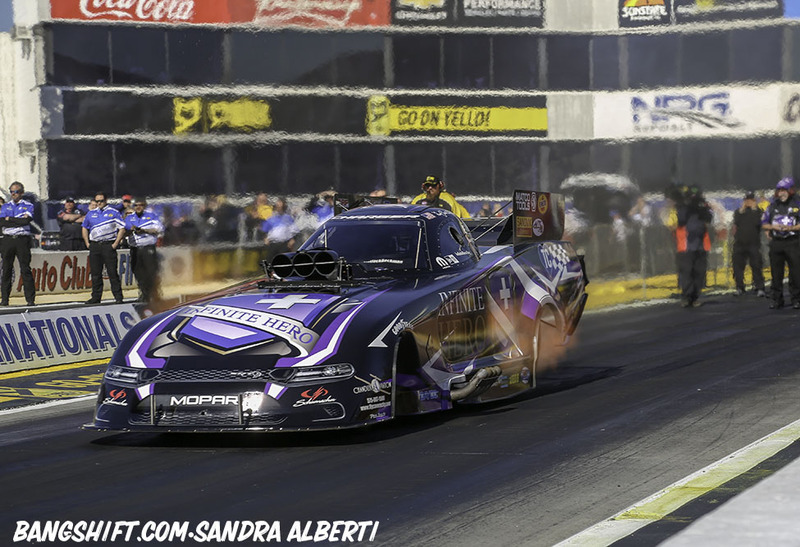 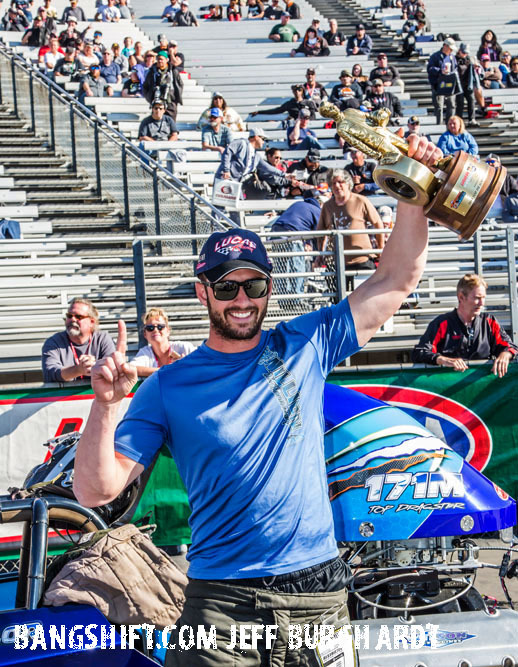 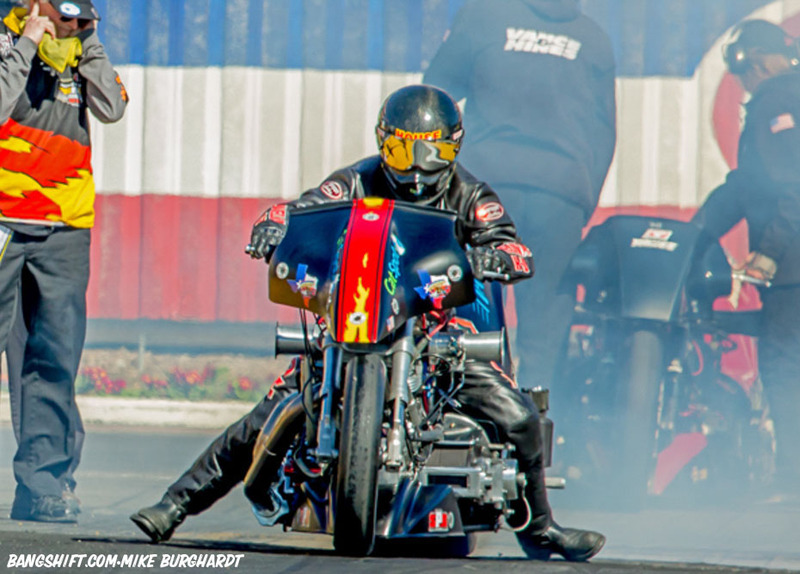 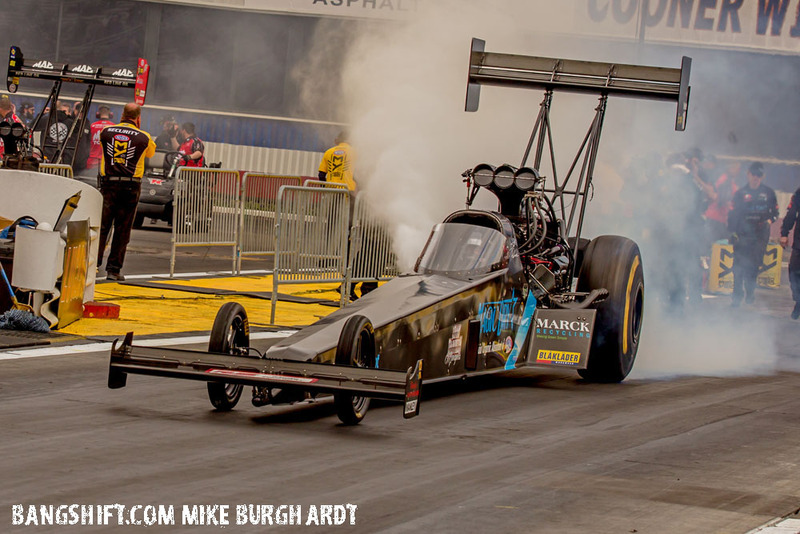 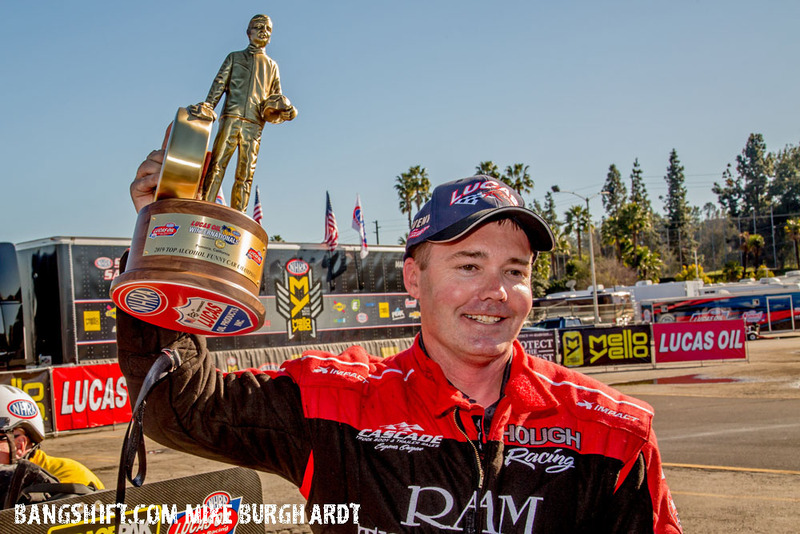 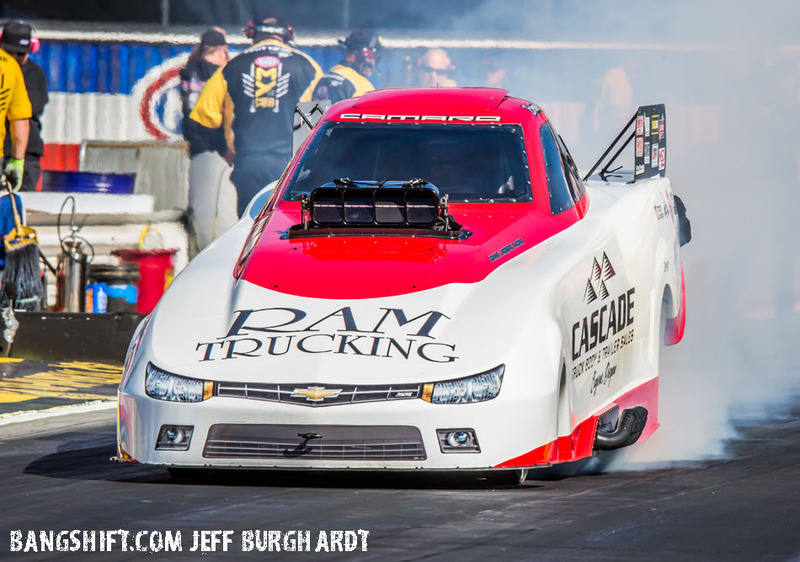 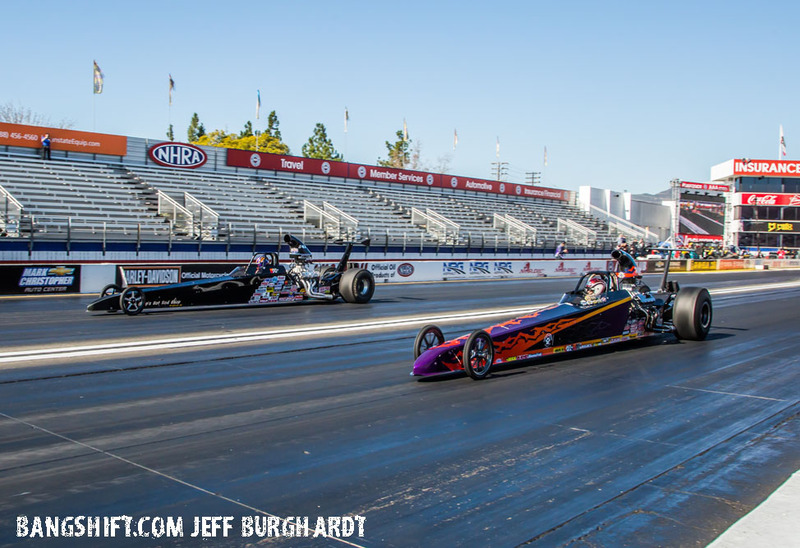 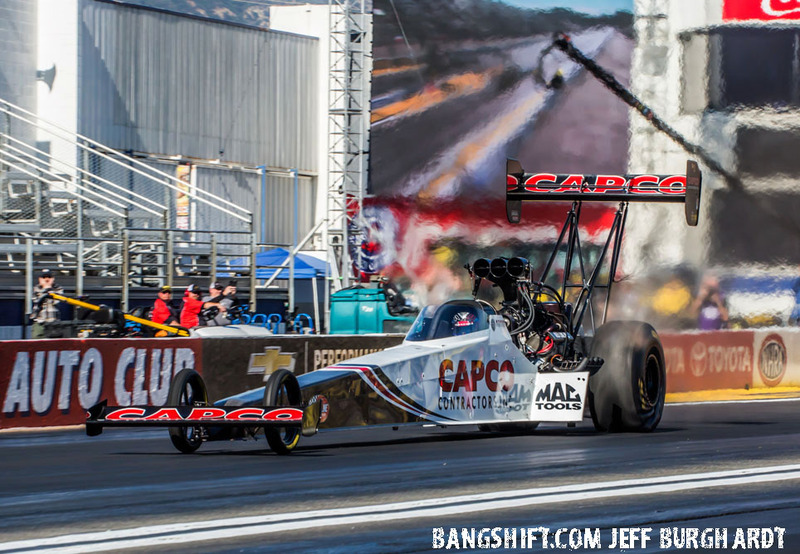 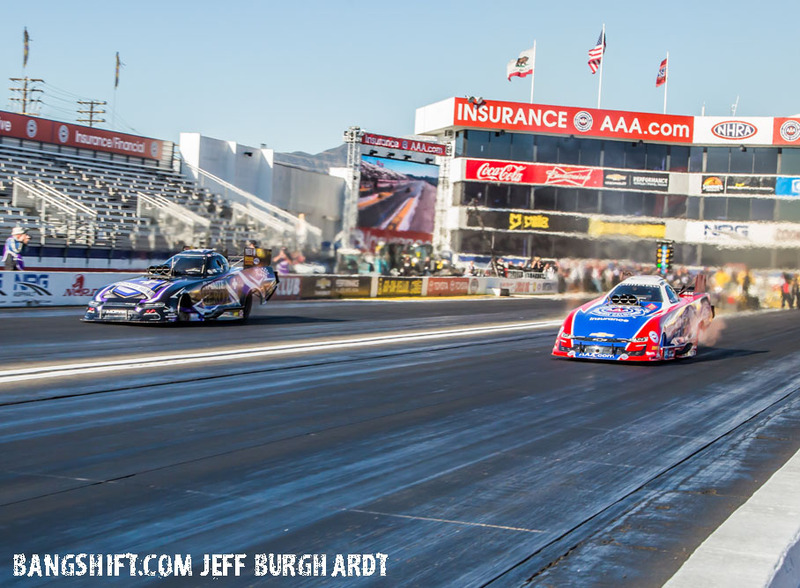 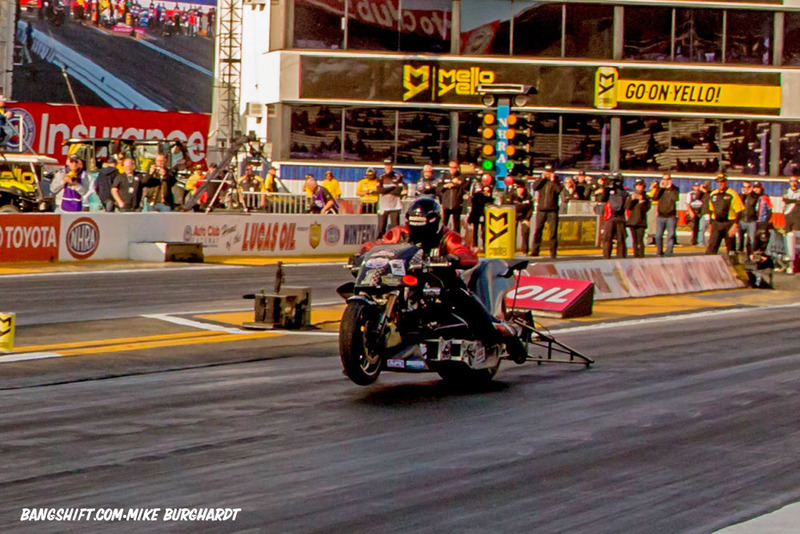 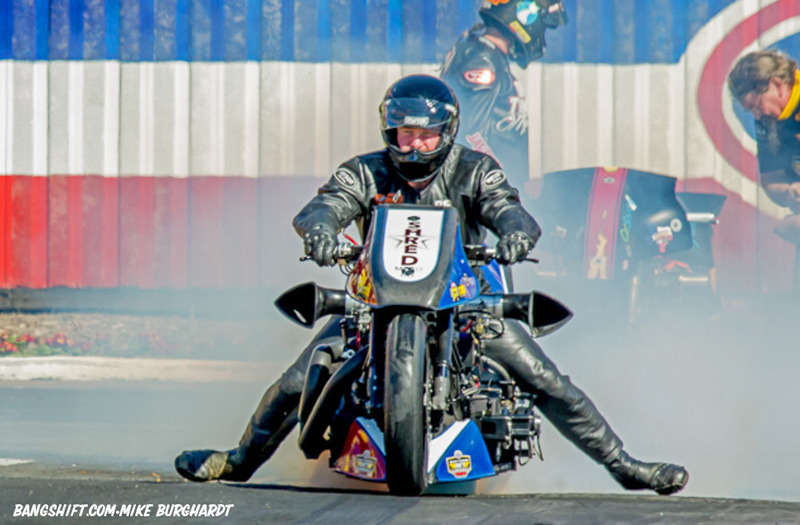 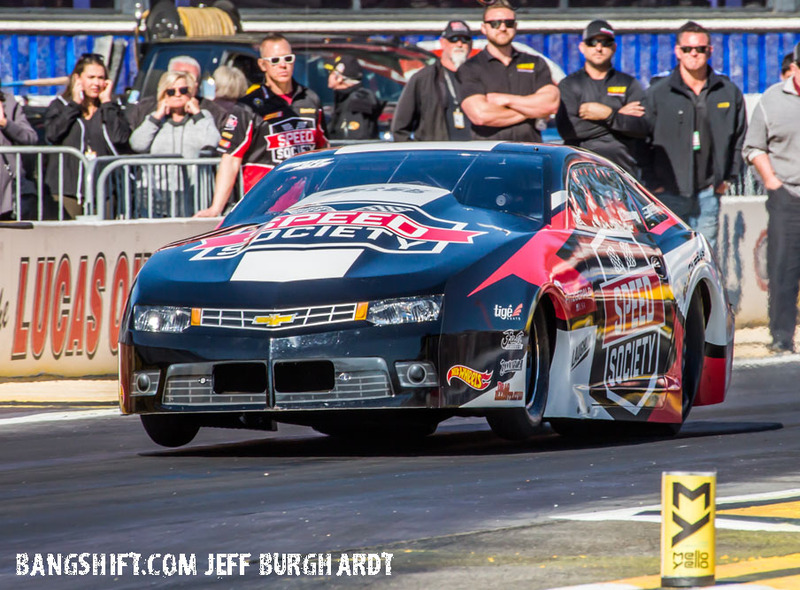 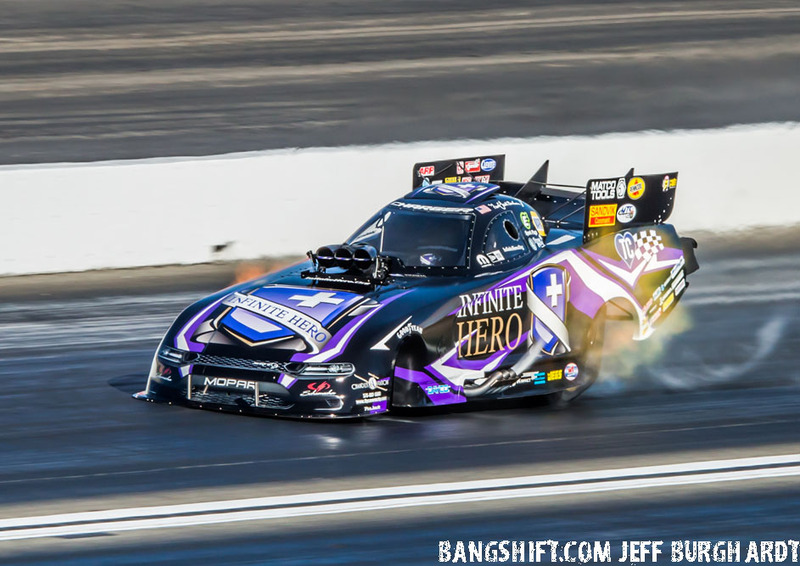 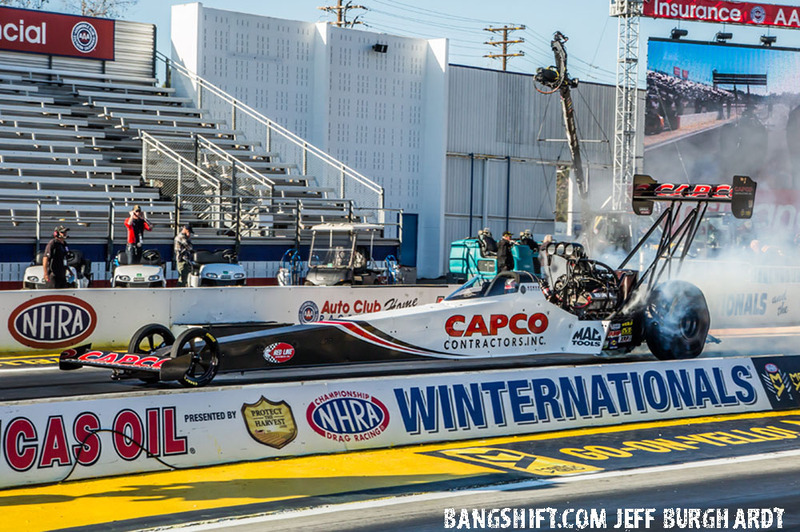 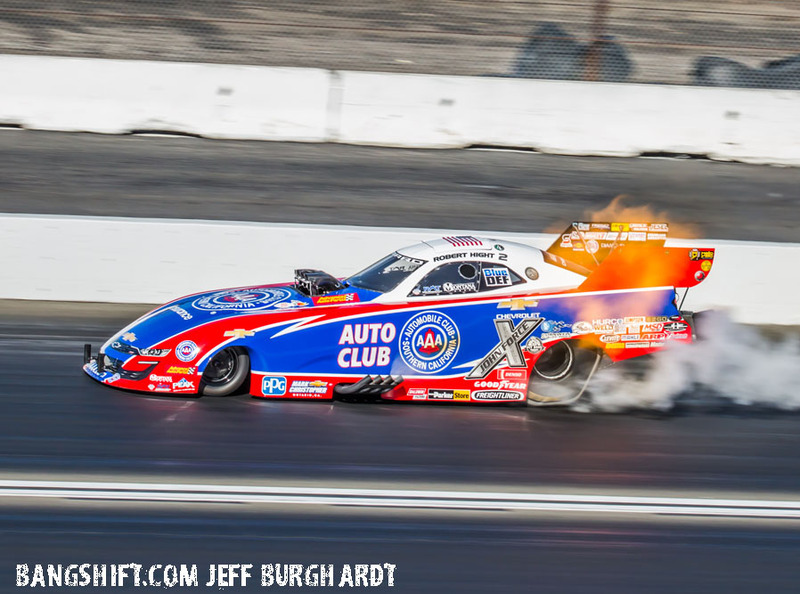 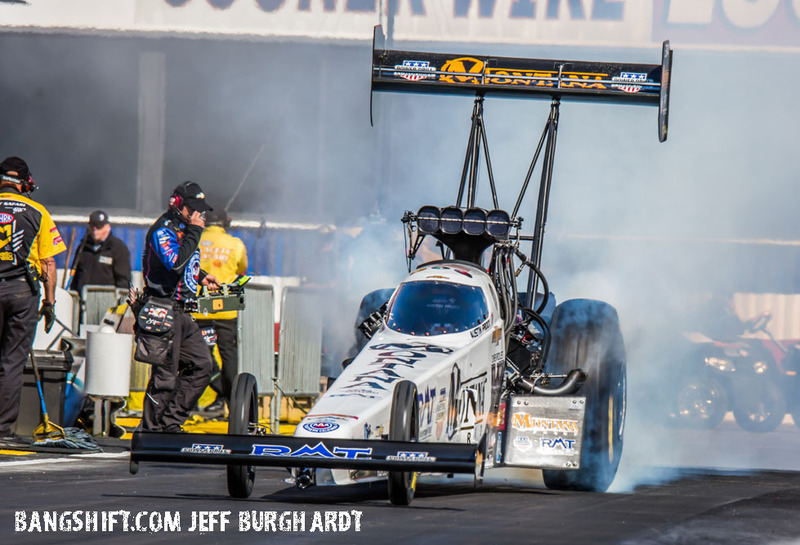 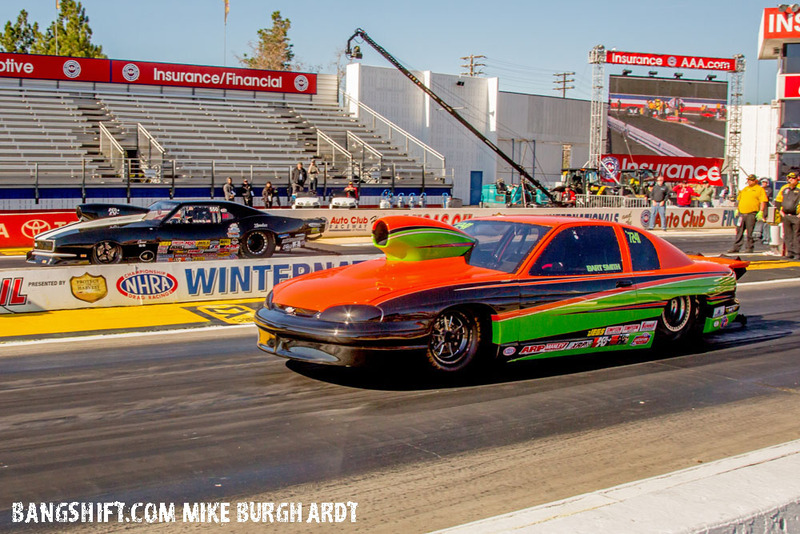 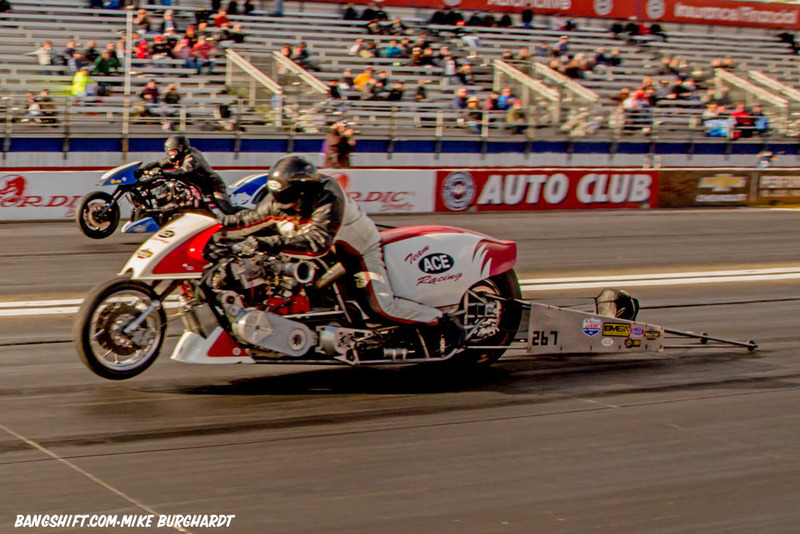 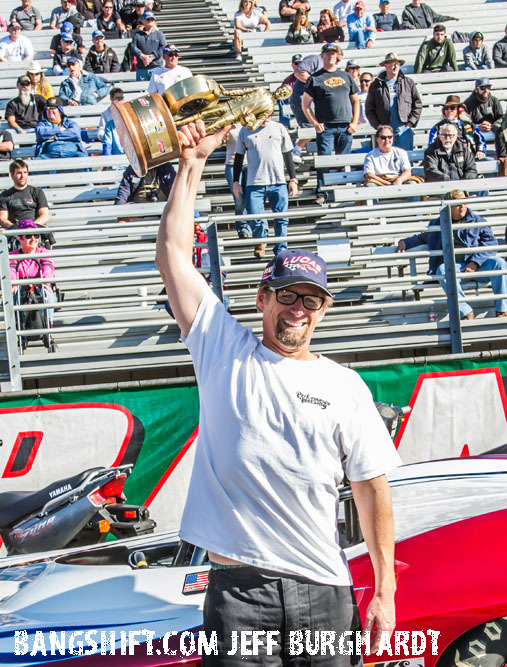 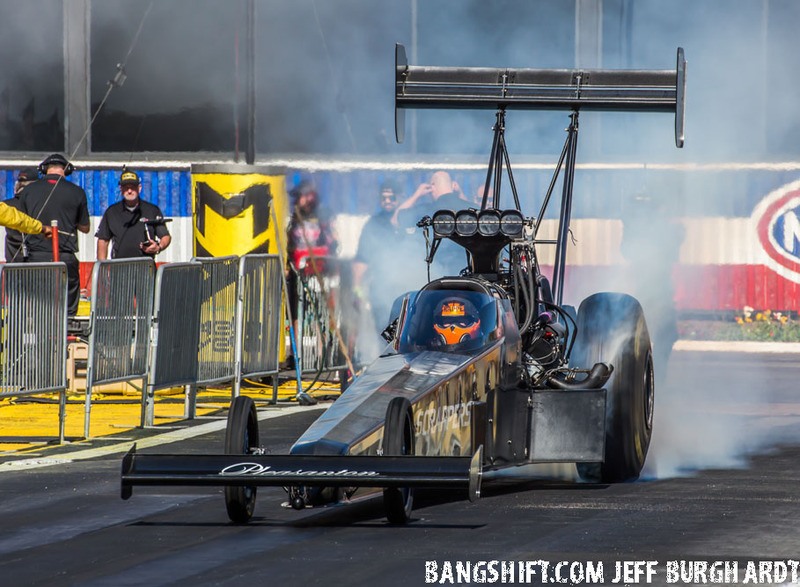 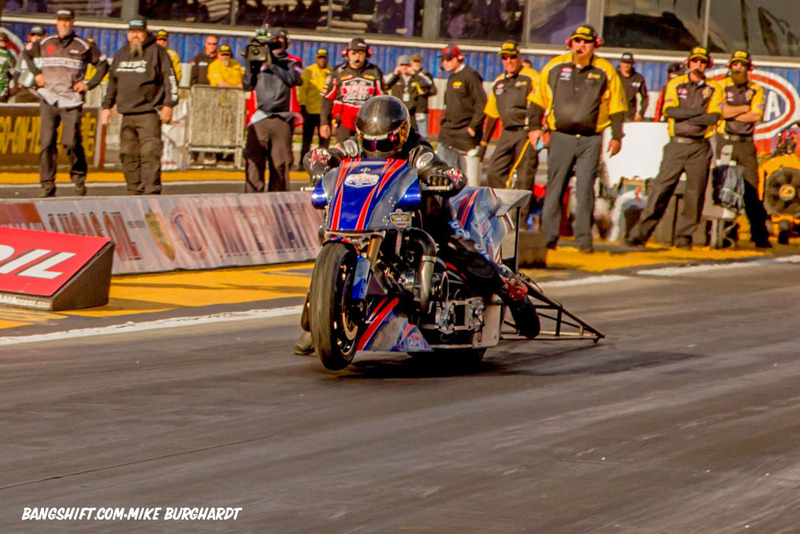 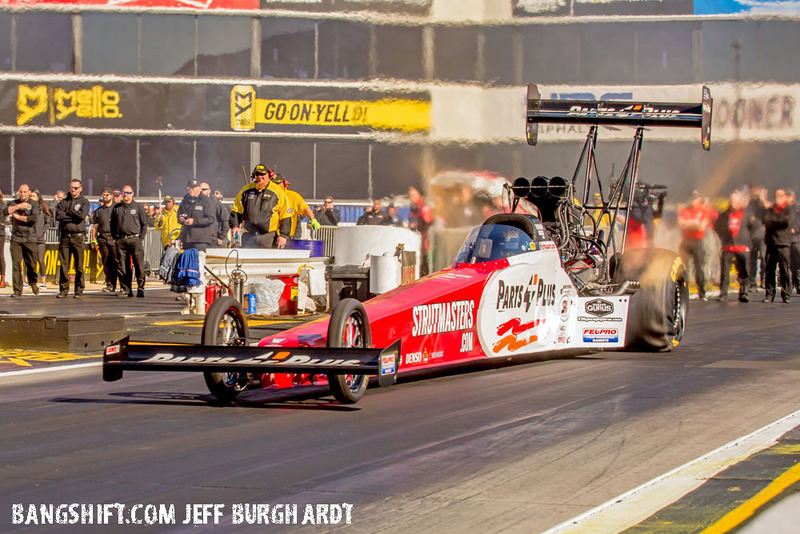 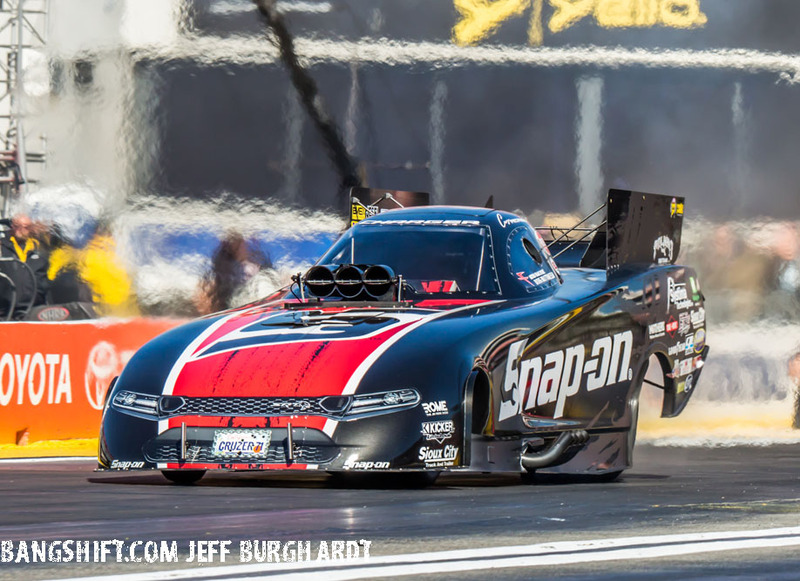 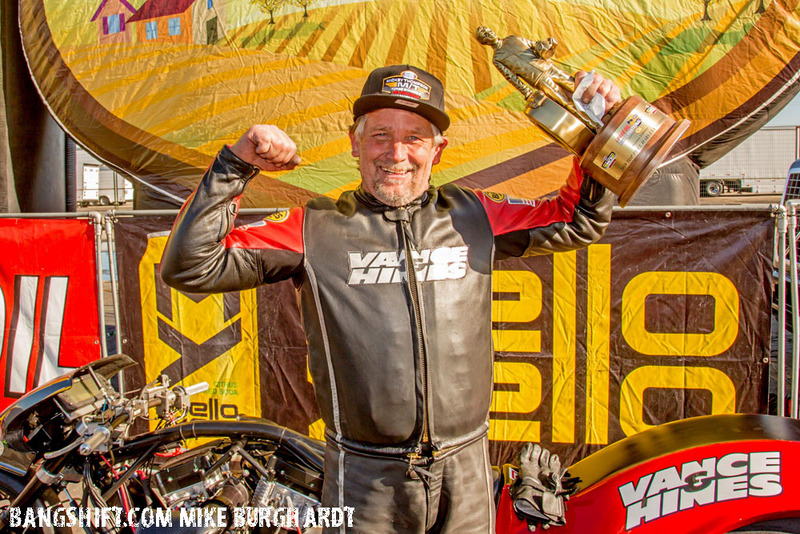 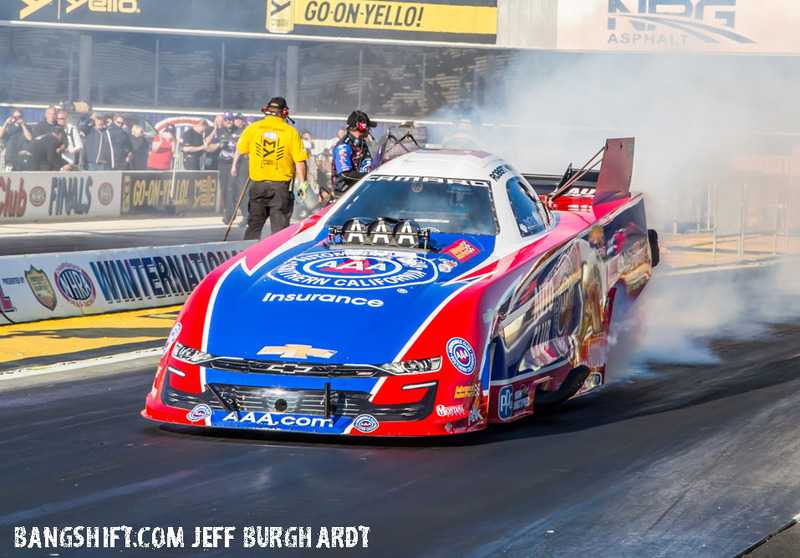 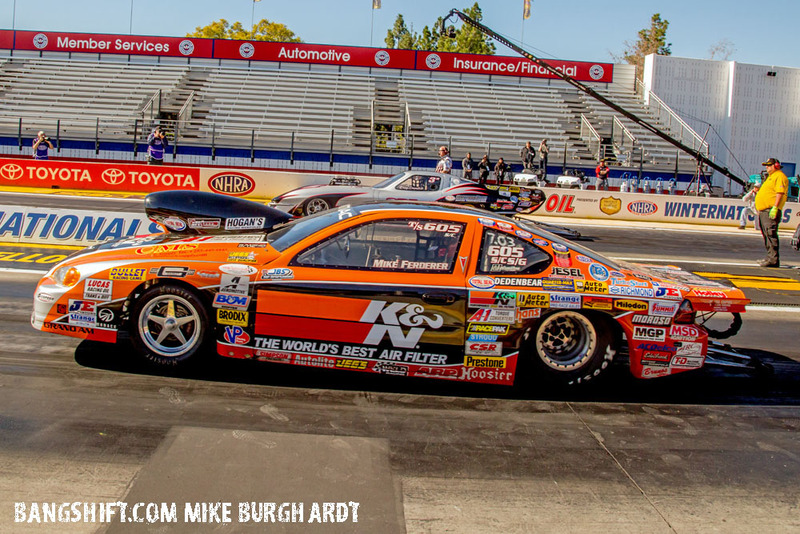 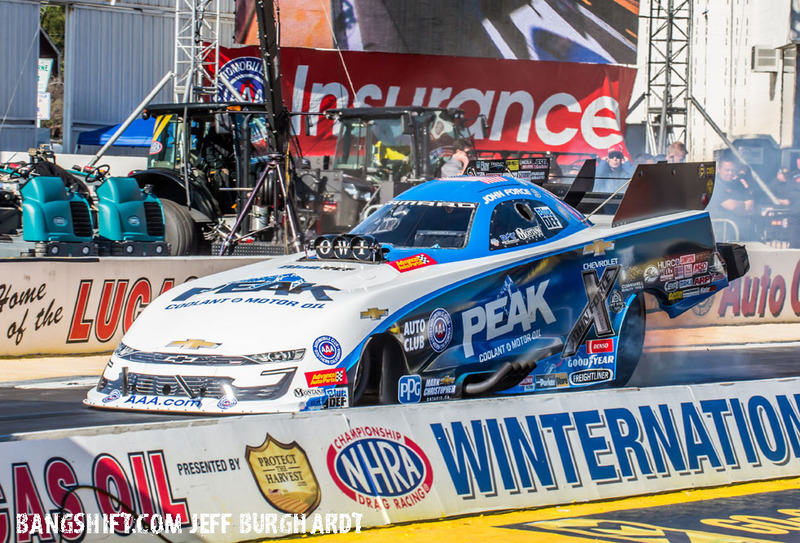 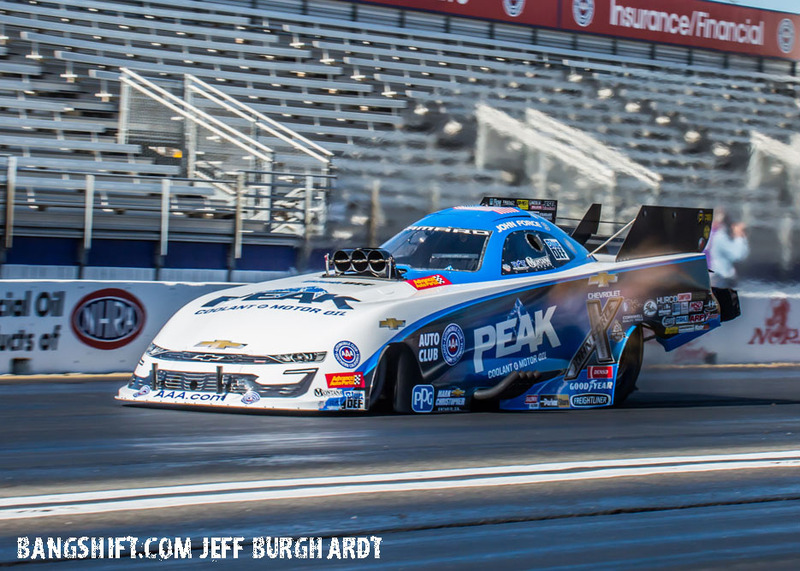 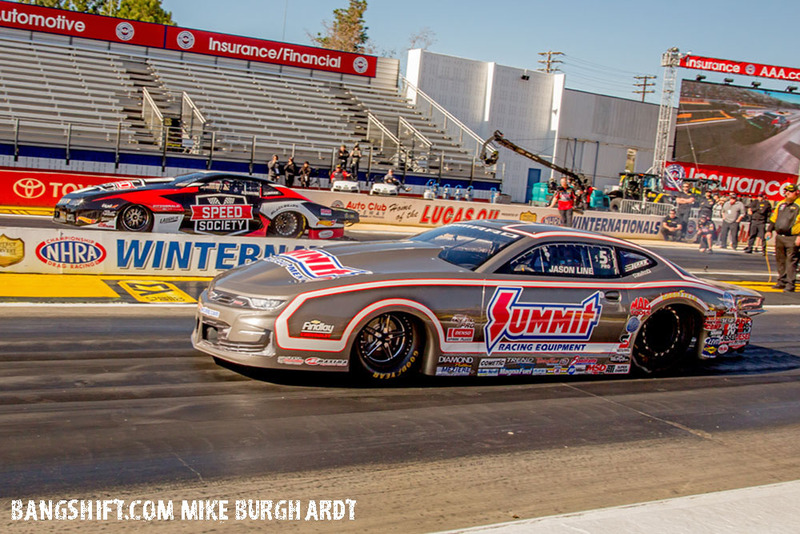 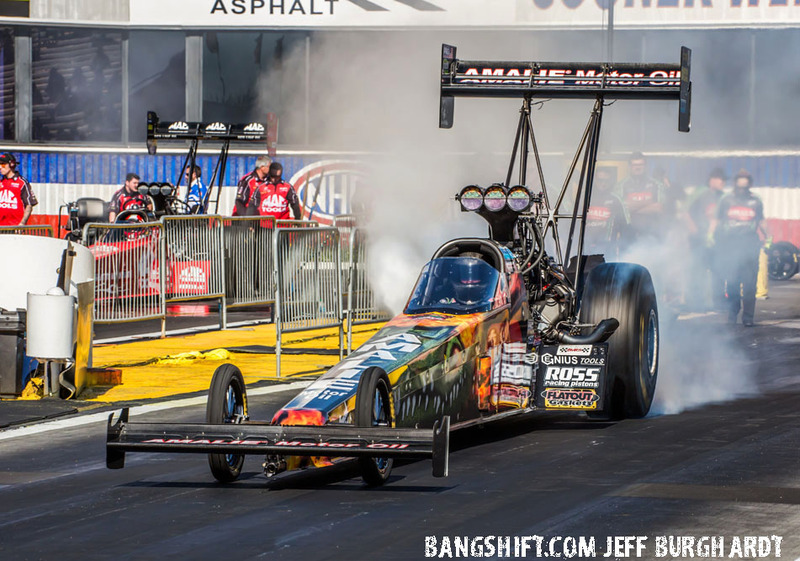 After finishing as the runner-up at the 2018 Winternationals, Hight emerged victorious this year, for the fourth time in his career. 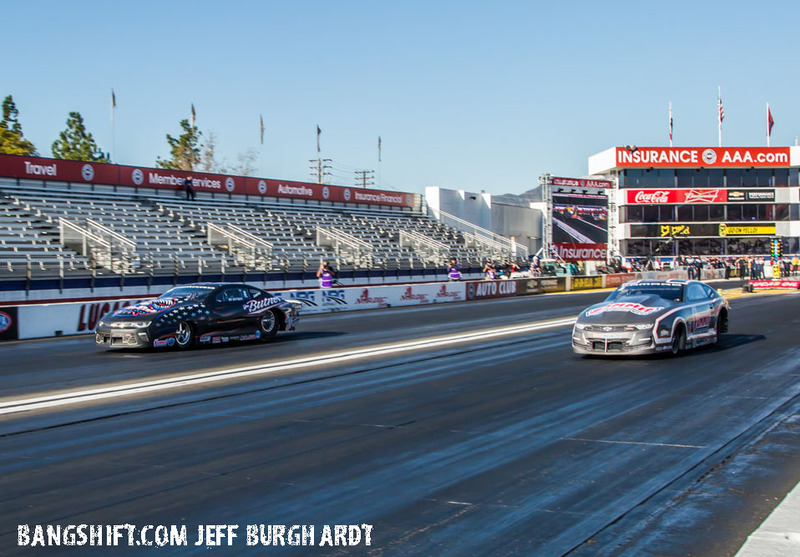 In Pro stock, this was a rematch of the 2018 Winternationals. 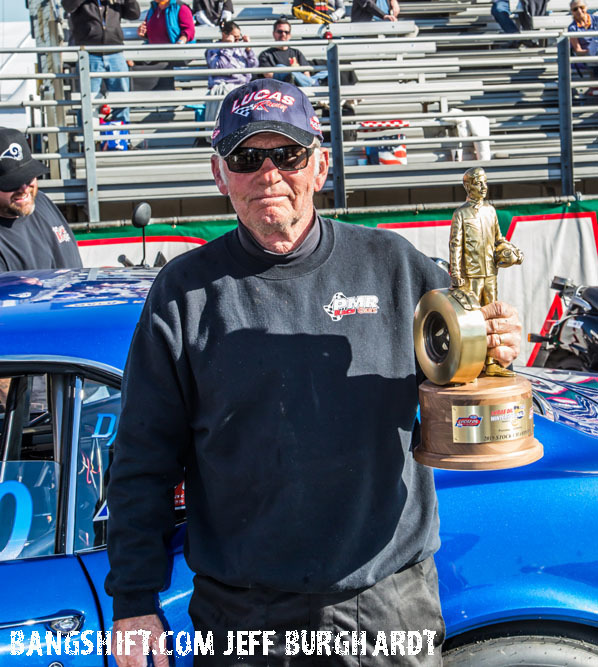 Butner defended his event title against teammate Jason Line after driving to a 6.522 at 211.59 run in his Jim Butner’s Auto Chevrolet Camaro. 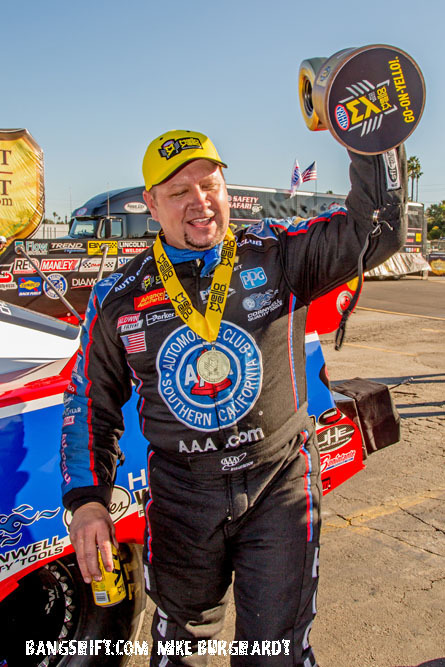 He locked in his eighth career victory after qualifying third. 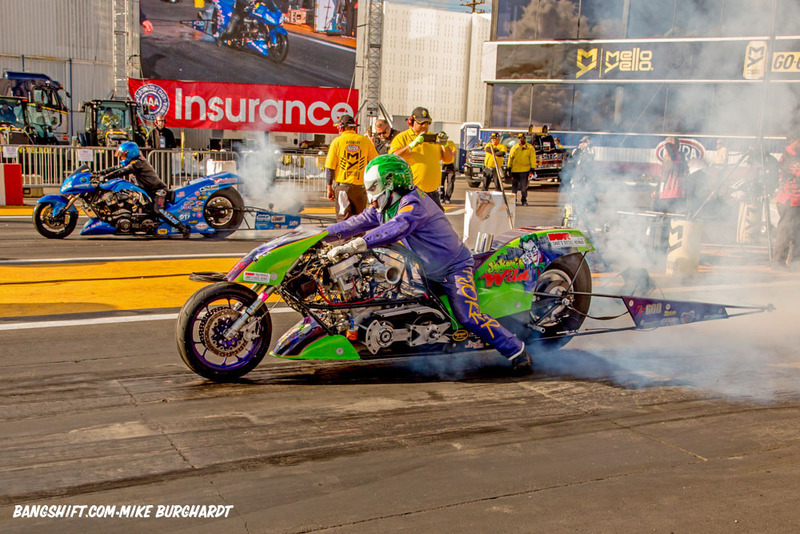 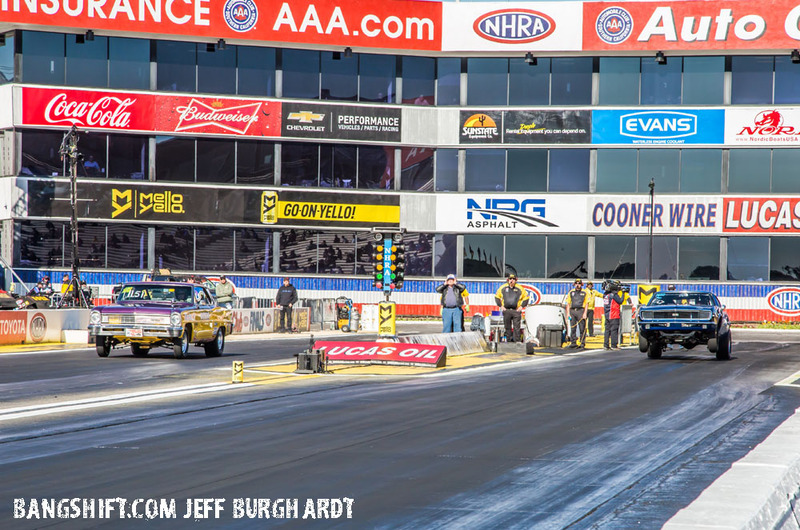 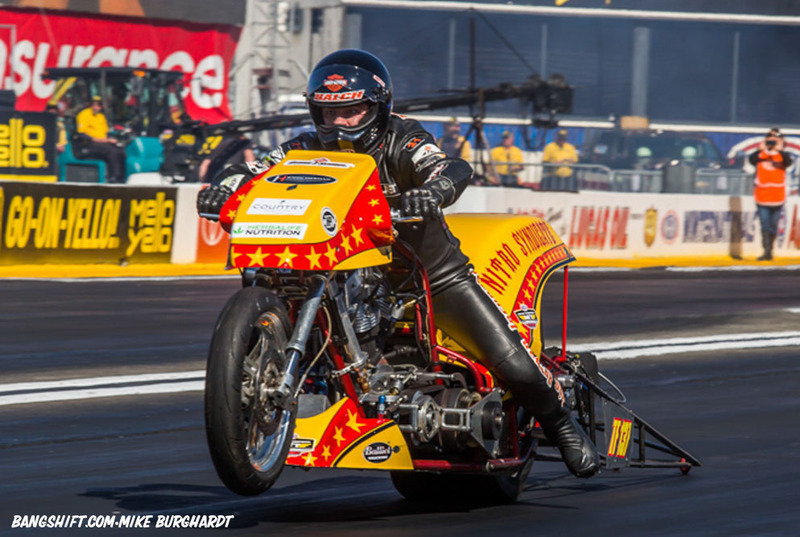 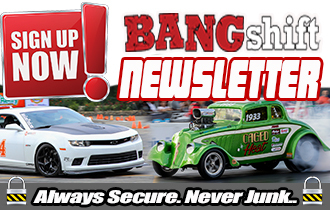 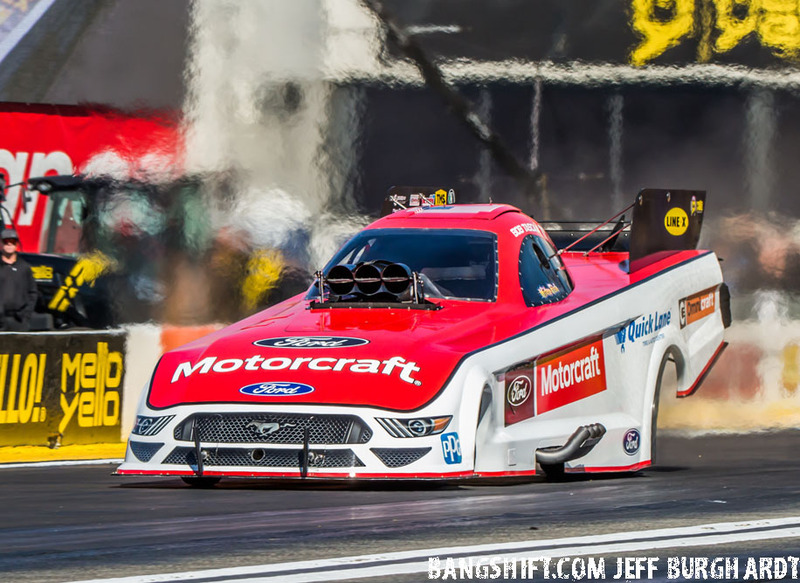 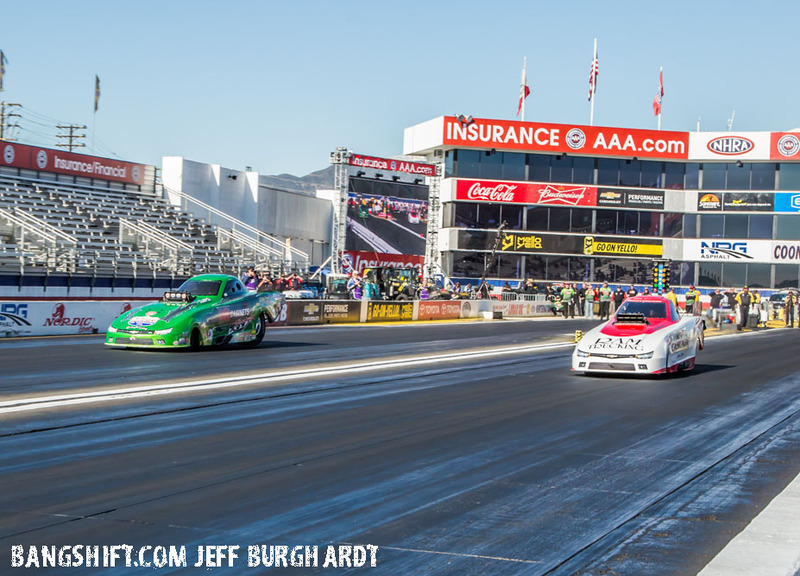 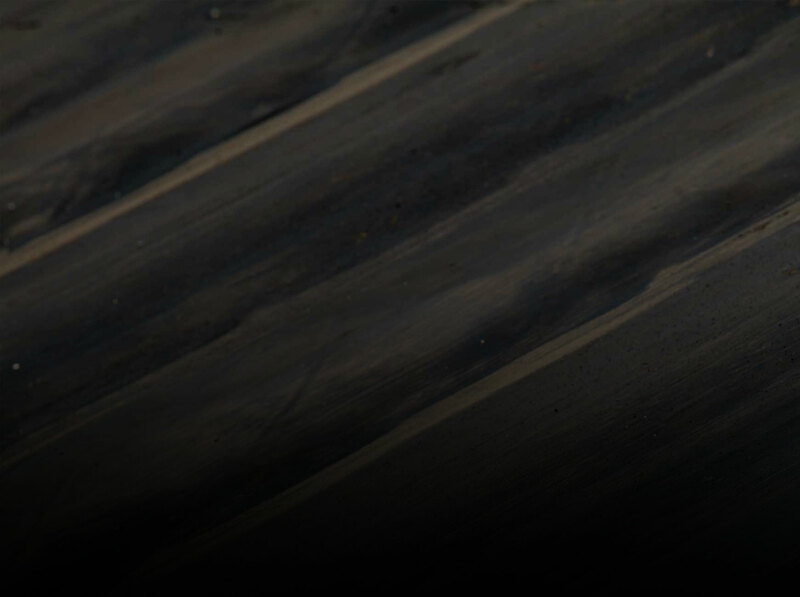 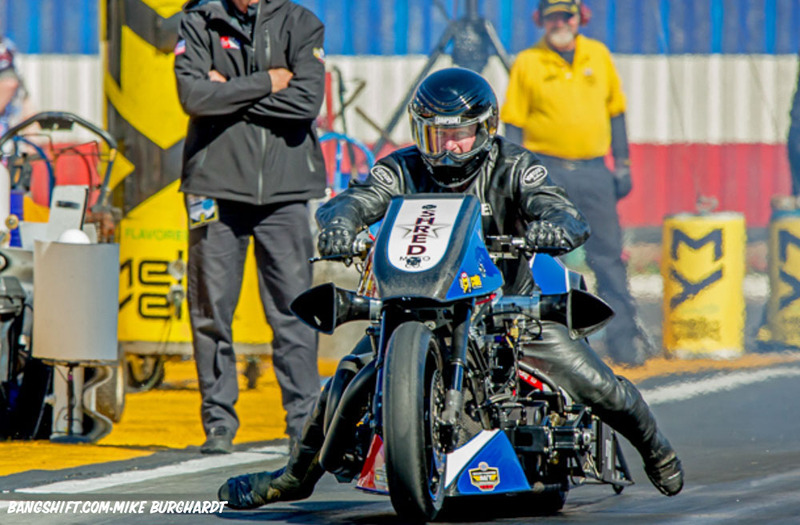 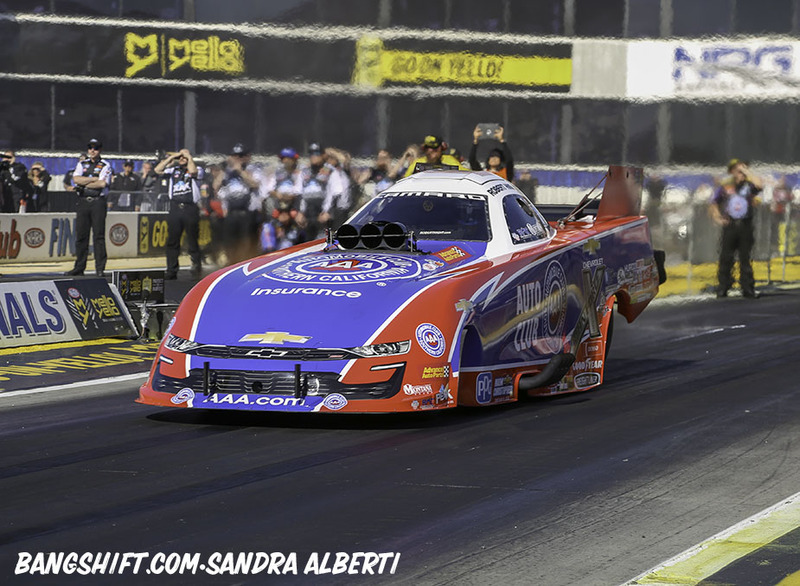 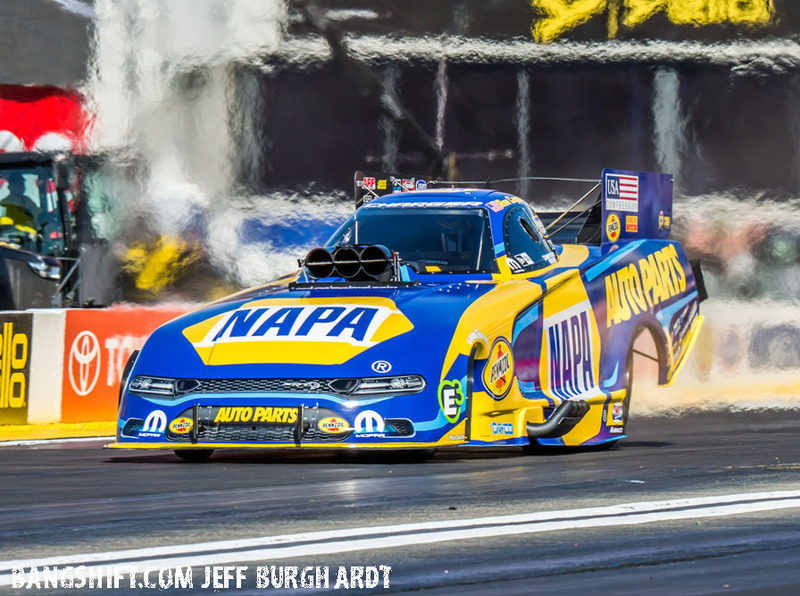 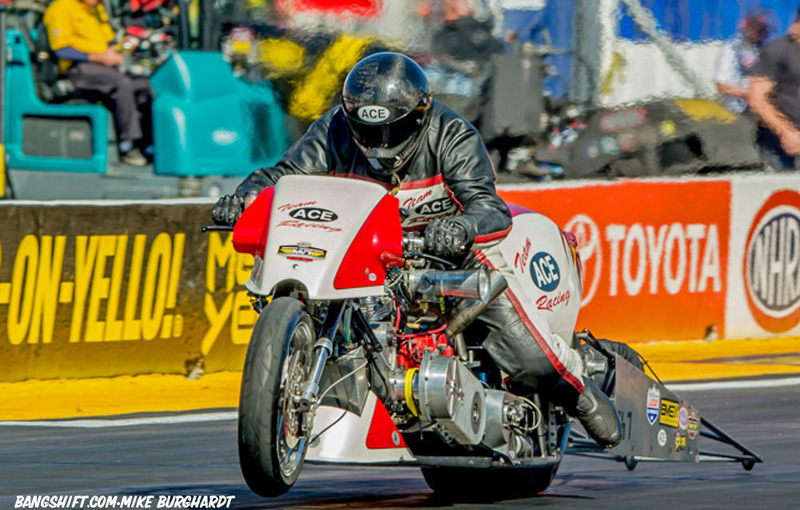 The 2019 NHRA Mello Yello Drag Racing Series season continues with Arizona Nationals at Wild Horse Pass Motorsports Park Feb. 22-24.